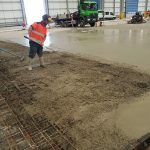 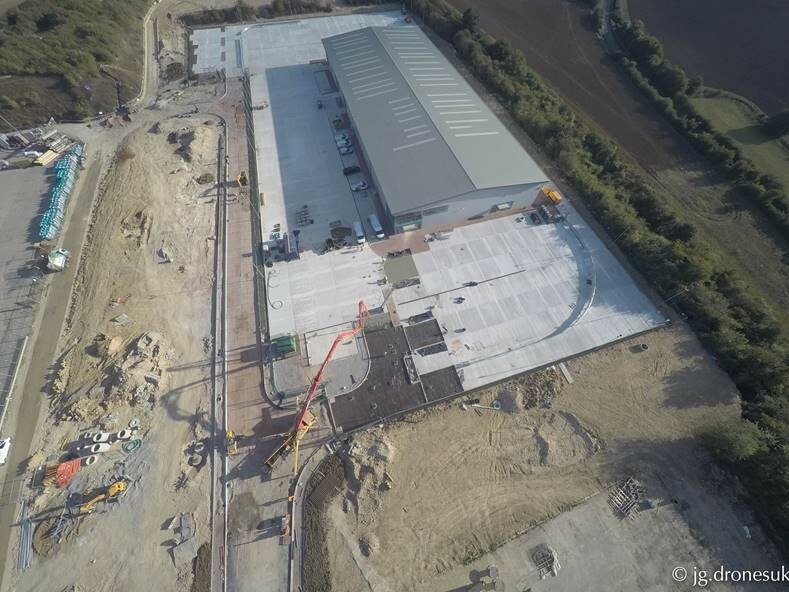 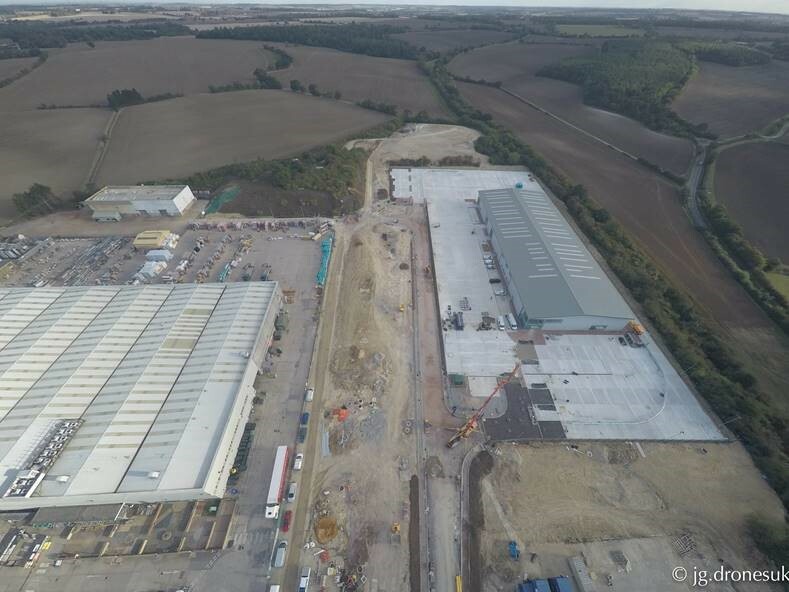 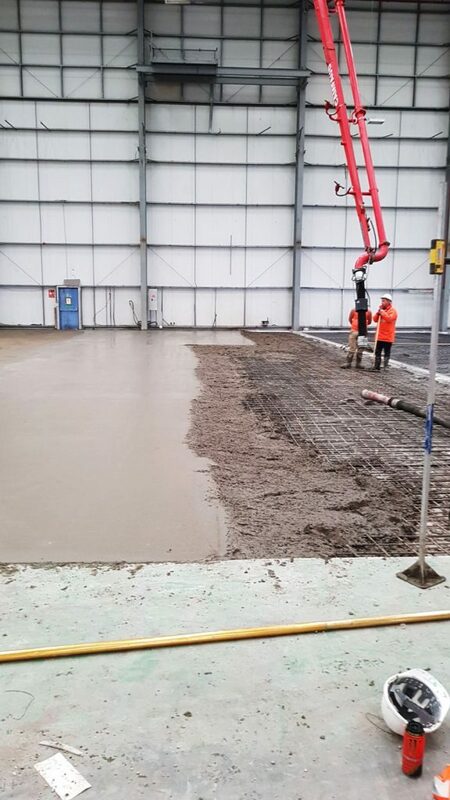 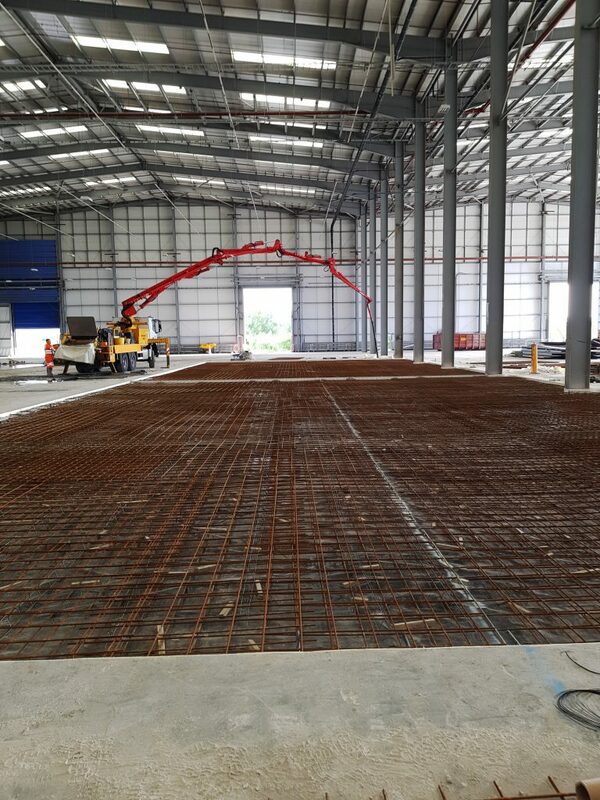 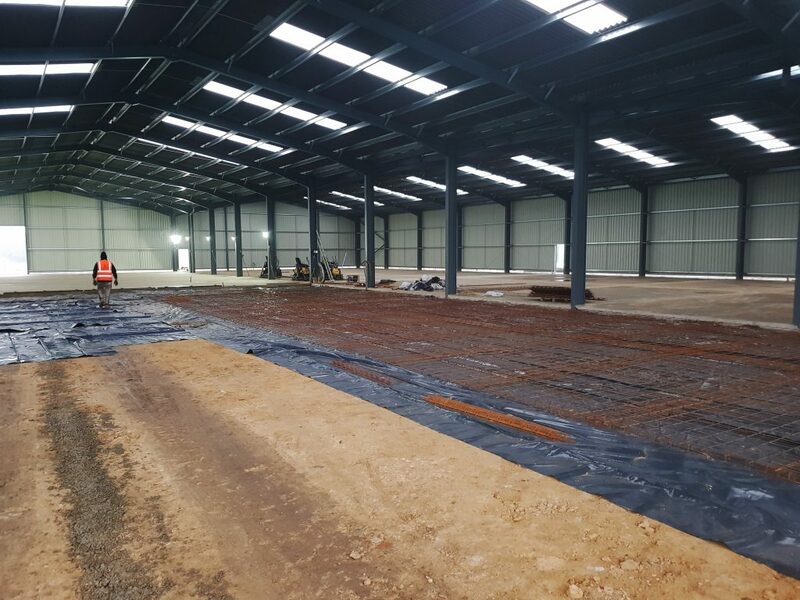 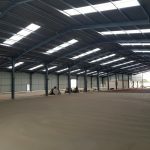 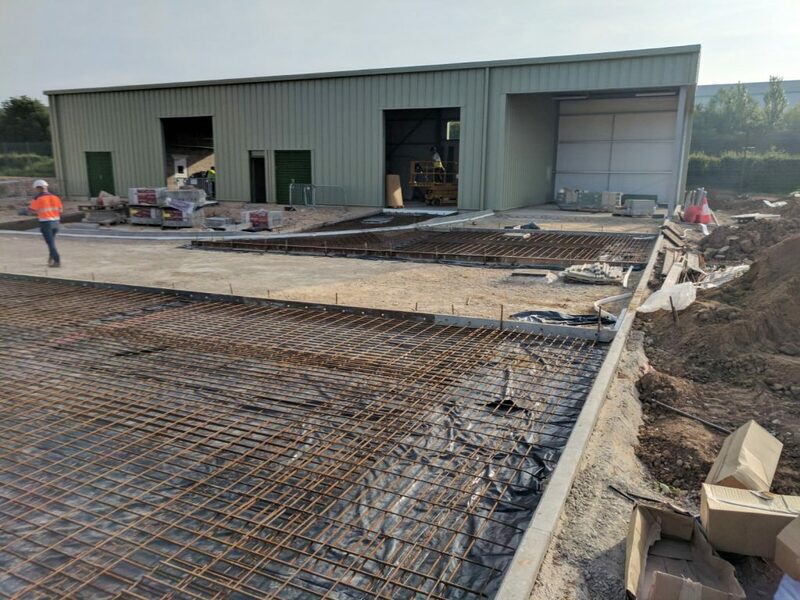 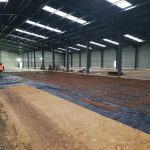 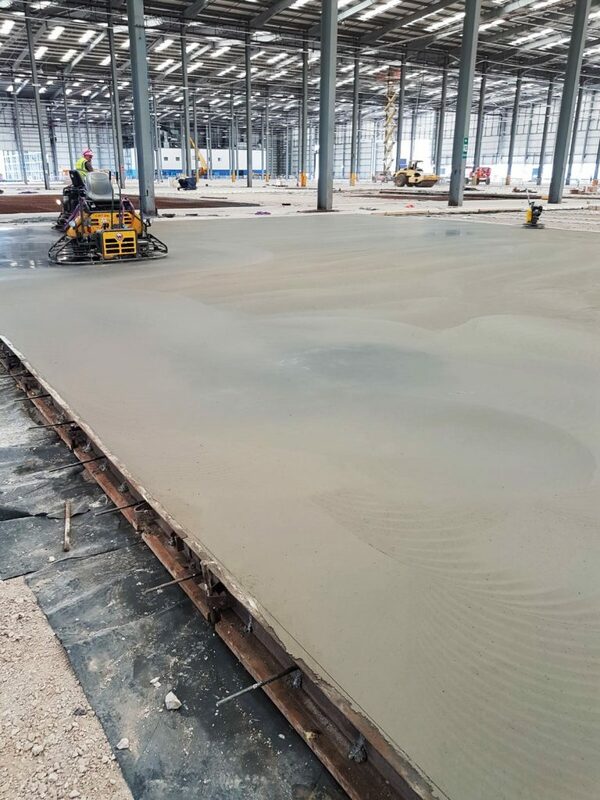 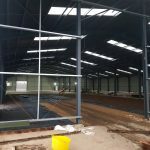 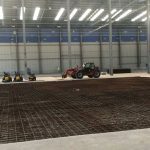 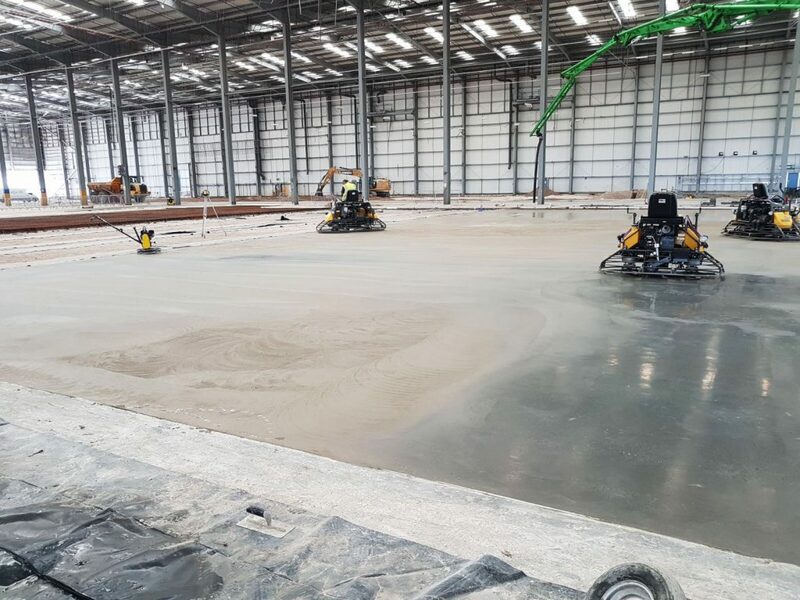 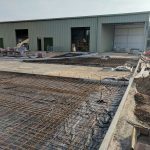 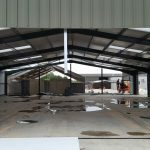 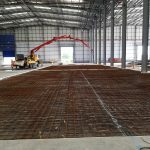 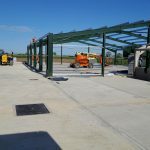 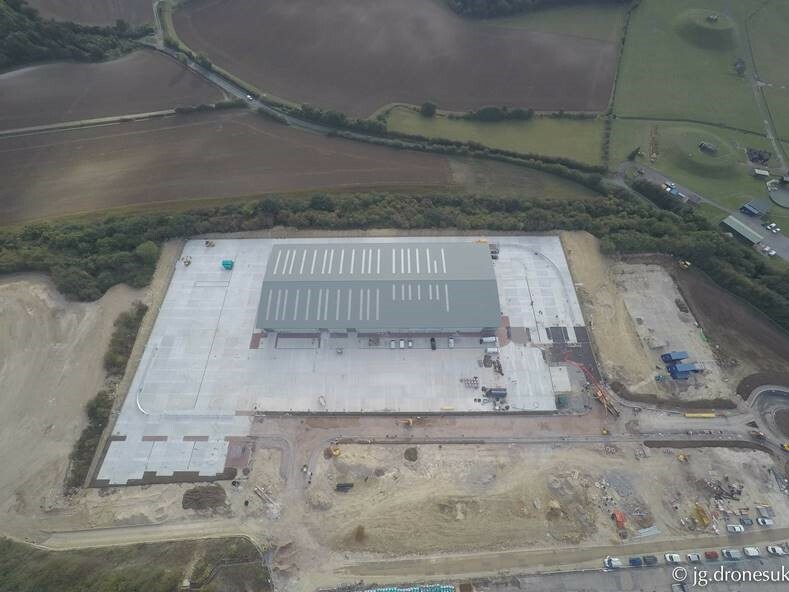 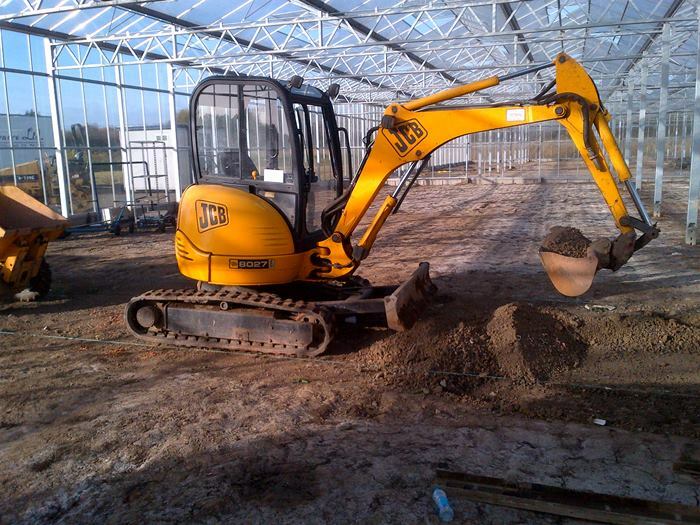 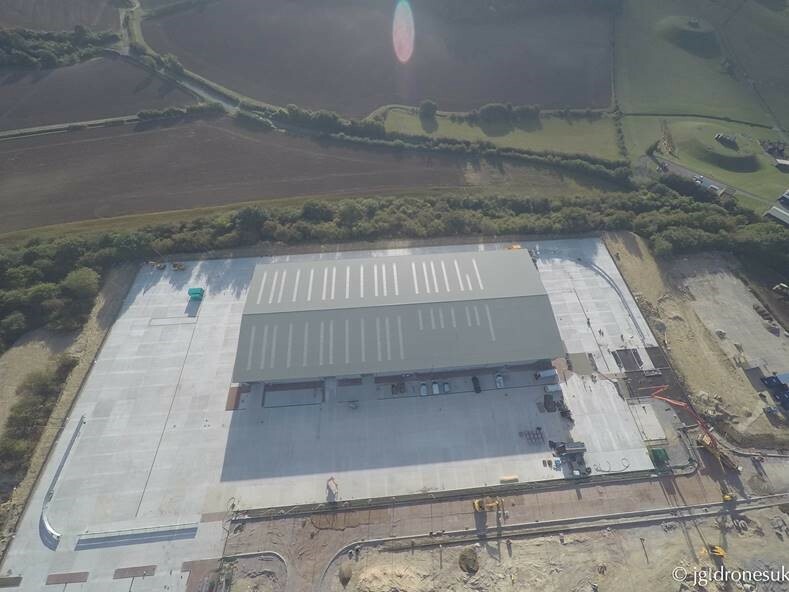 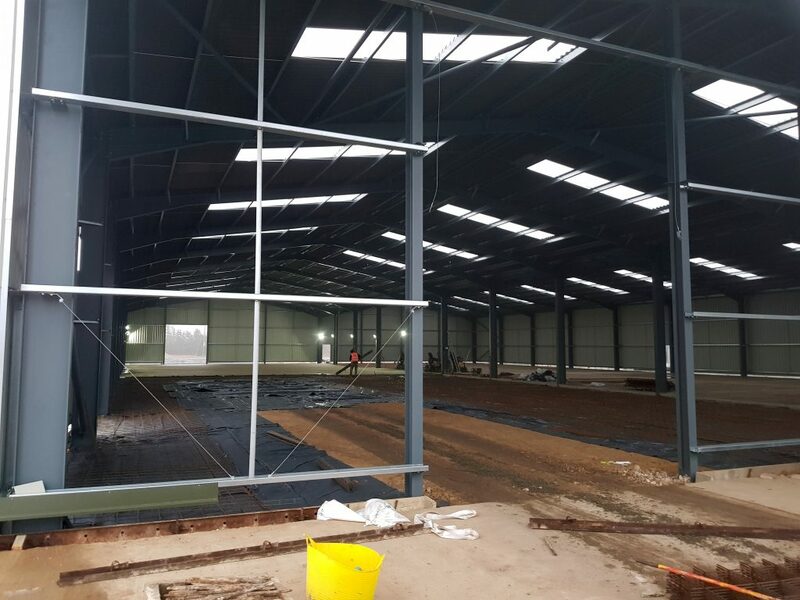 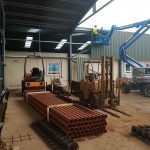 SJ Stanberry & Sons Ltd was initially appointed by You Garden for their proposed concrete floor slab for a processing warehouse, however after meeting with the client we also secured the groundworks package and were appointed Principle Contractor. 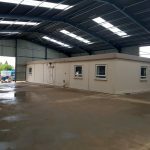 The project commenced in October 2017 and was completed by January 2018 to meet the clients strict programme completion date. 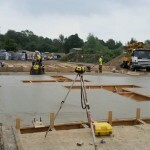 Trial holes were excavated to assess the ground conditions and structural calculations were then provided. 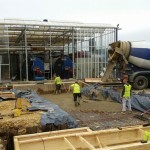 The site was stripped from old concrete beds which we then crushed for use later during the project. 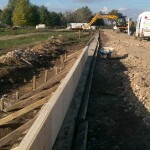 1,200 tons of spoil was used to construct a bunded bank. 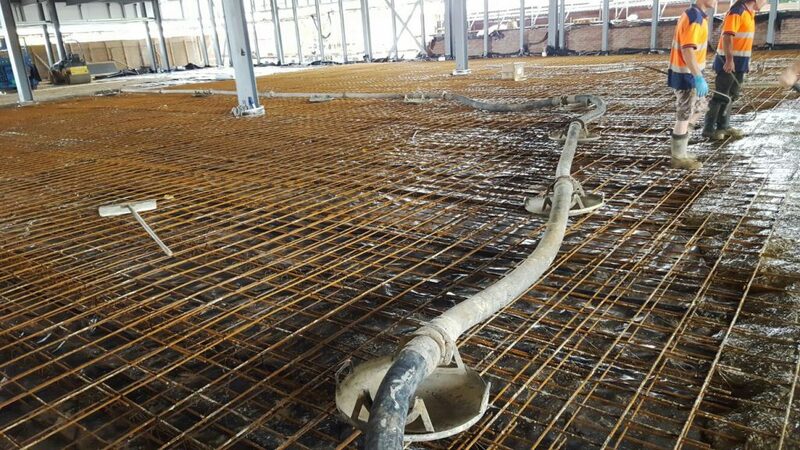 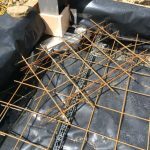 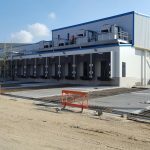 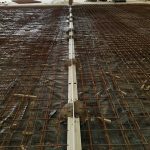 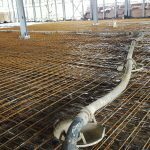 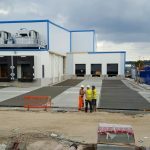 A Geo textile membrane and 200mm sub base was installed along with 160 cubic meters of concrete for the building foundations. 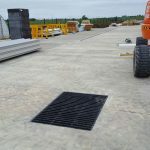 A newly constructed reservoir and extensive drainage was carried out by SJ Stanberry & Sons Ltd, along with a 60,000-litre septic tank and a new crated soakaway system. 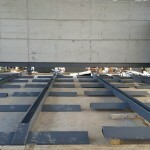 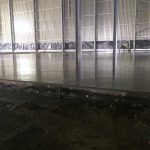 The internal concrete works consisted of 175mm slabs reinforced with one layer of A292 steel reinforcement with a power floated finish to achieve FM3 of the TR34, 4thedition. 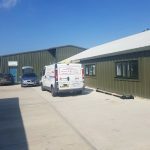 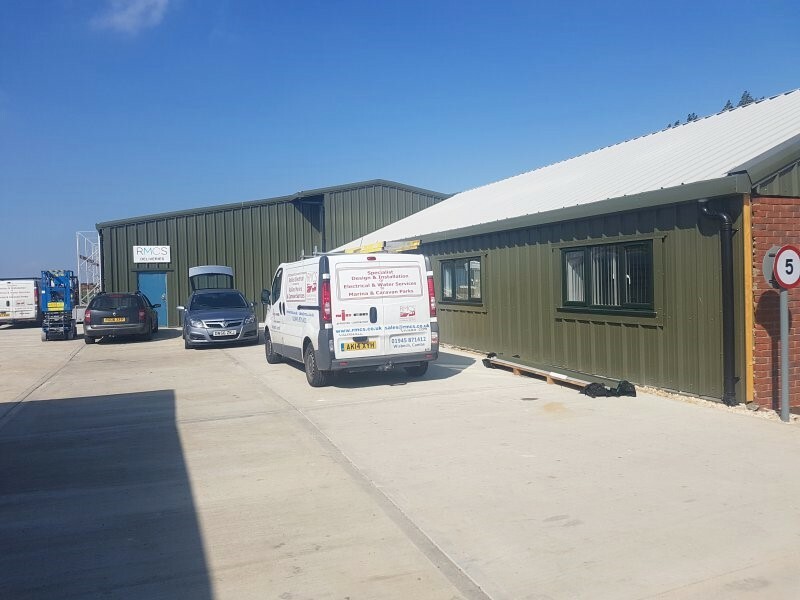 You Garden also purchased a refurbished portable building from SJ Stanberry & Sons Ltd for use as new offices for the company. 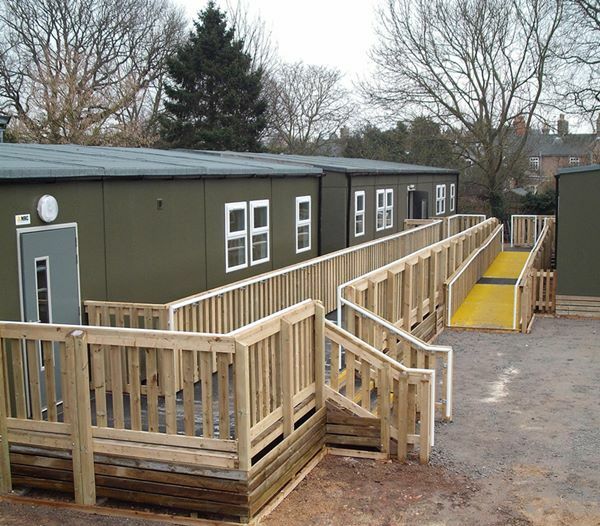 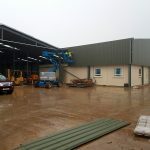 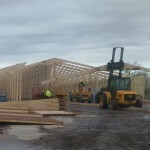 Stanberry’s supplied, delivered and installed the building to the clients’ satisfaction. 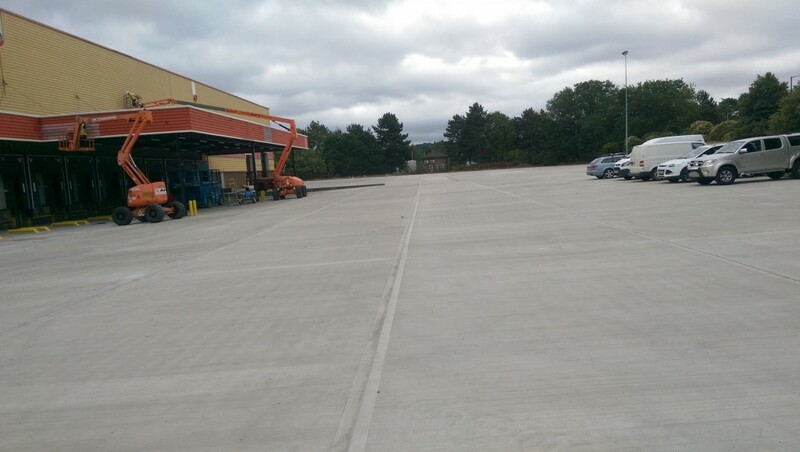 A 1,200sqm service yard with a brush finish, paths and roadways were also carried out for this client, meeting all budgets and timescales. 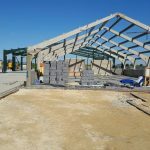 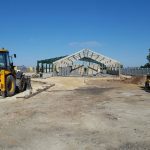 SJ Stanberry & Sons Ltd were approached and appointed by K-net Construction after K-net received an outstanding review from Blue Anchor Leisure advising of the impressive service they had received from SJ Stanberry & Sons. 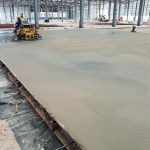 The project consisted of ground floors (1,460sqm) and upper floors (1,947sqm) and was completed in only a total of four pours. 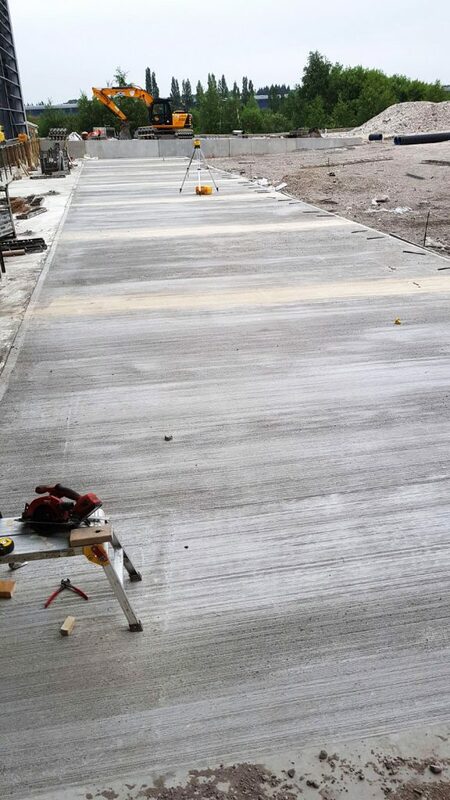 Traffic management was a key role in this project as the slab construction was in the height of summer, on a very busy sea front. 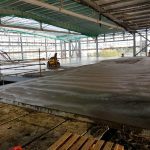 The upper floor measured 1,370sqm to a mezzanine deck with a further 577sqm 100mm topping podium slab which achieved FM2 of the TR34, 4thedition. 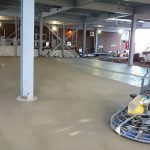 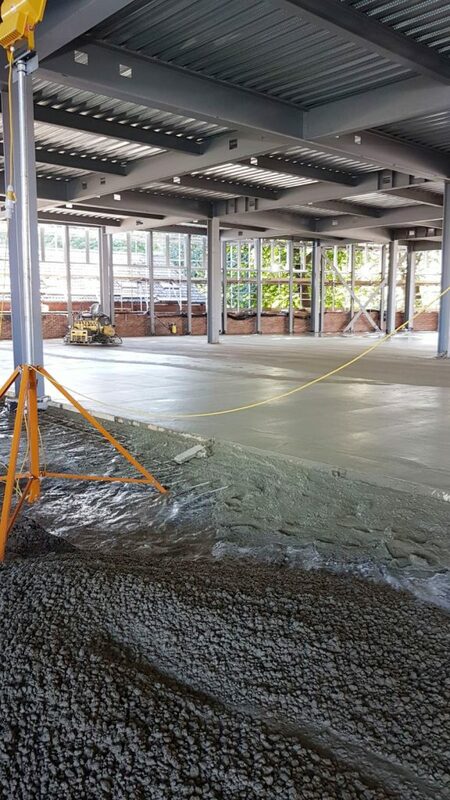 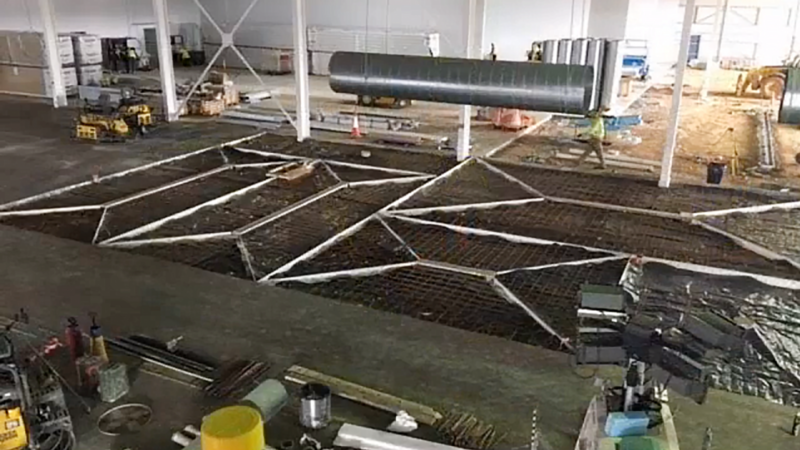 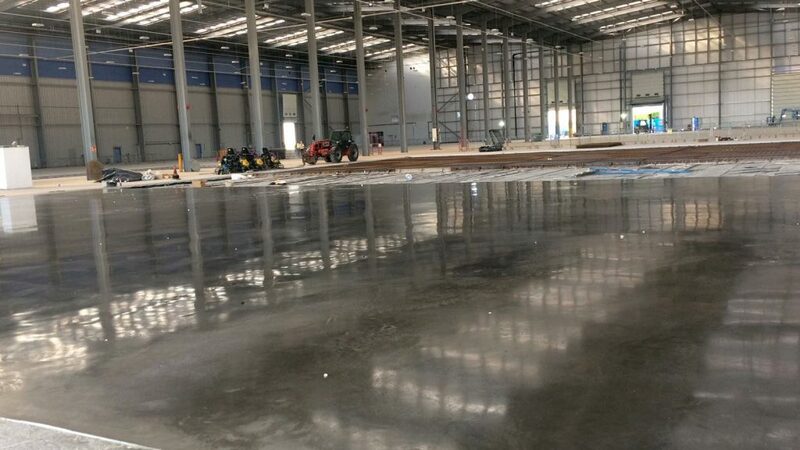 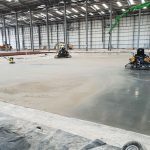 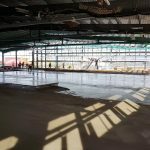 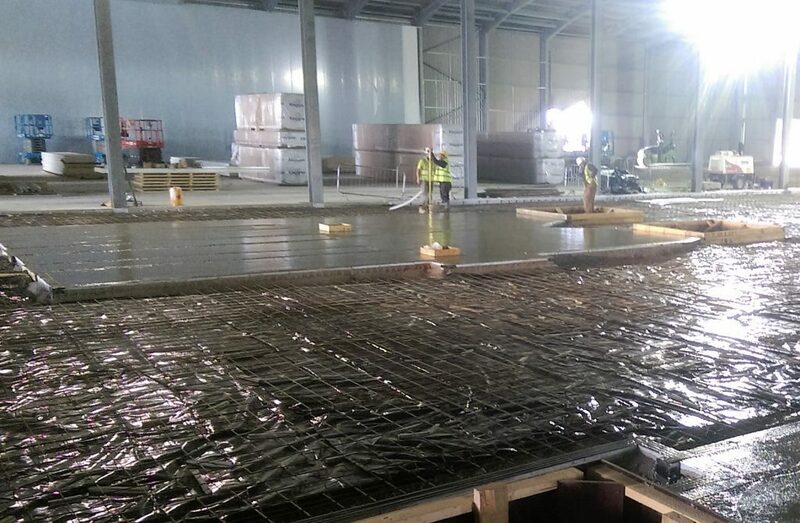 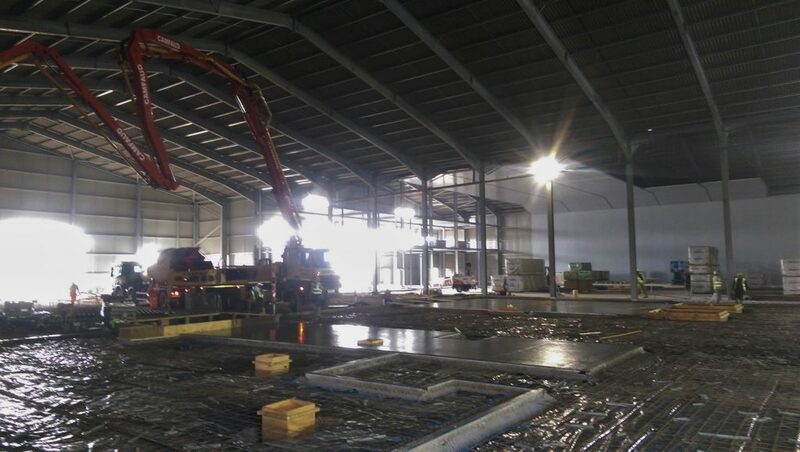 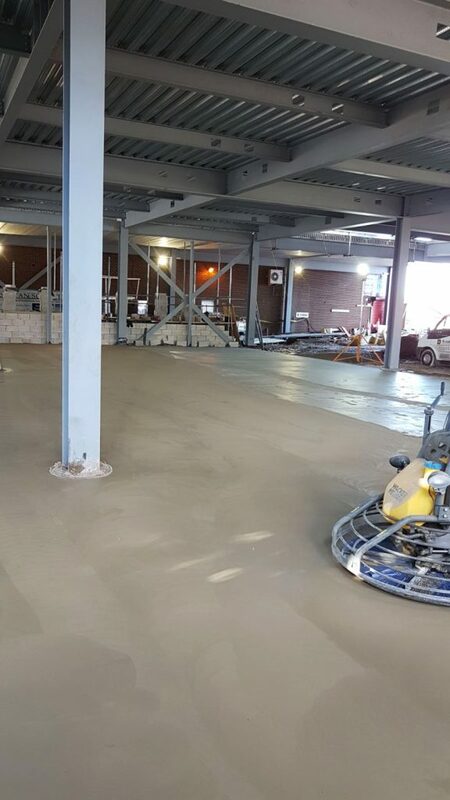 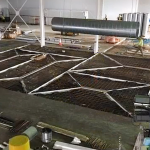 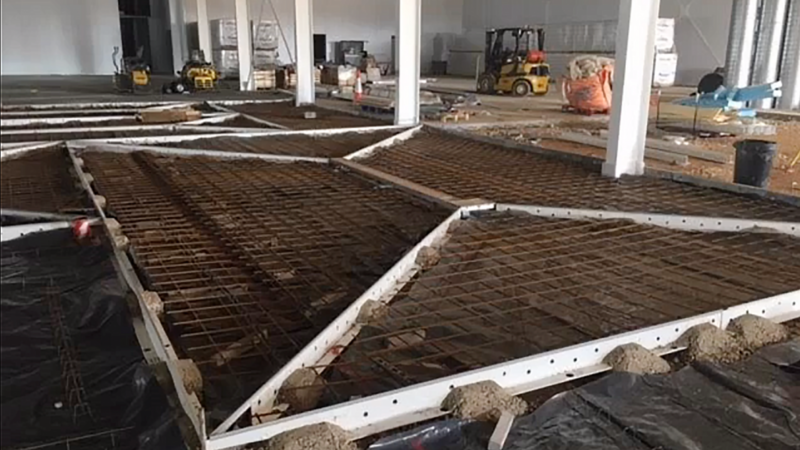 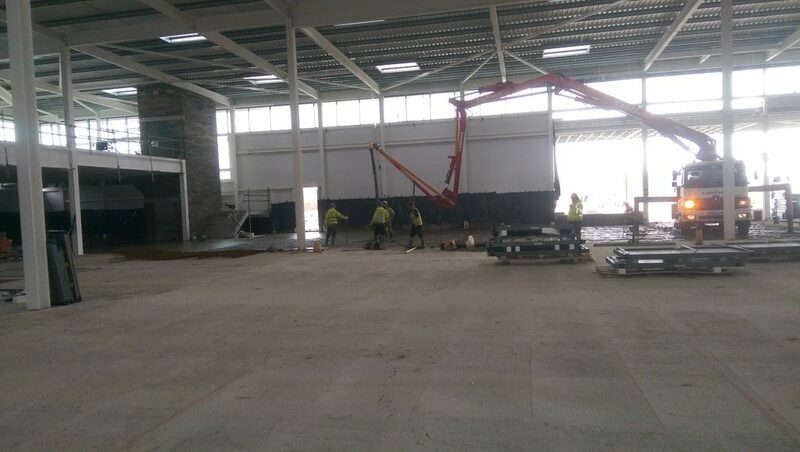 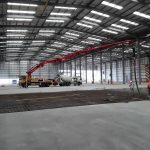 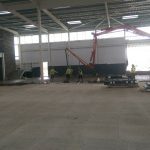 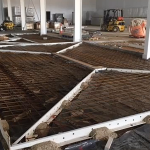 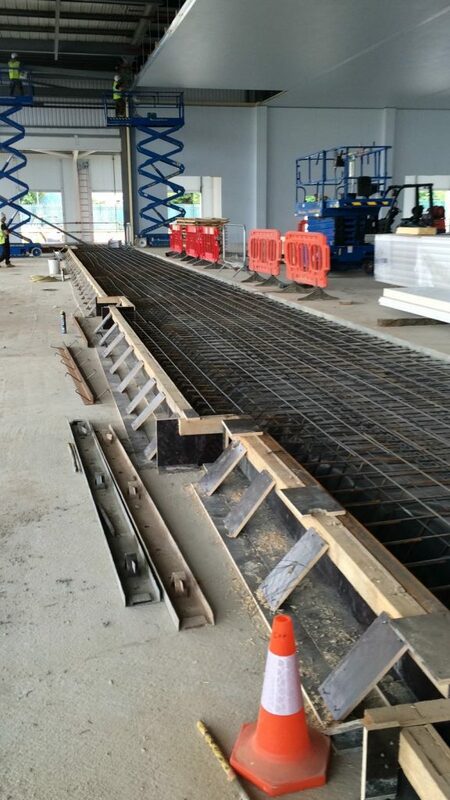 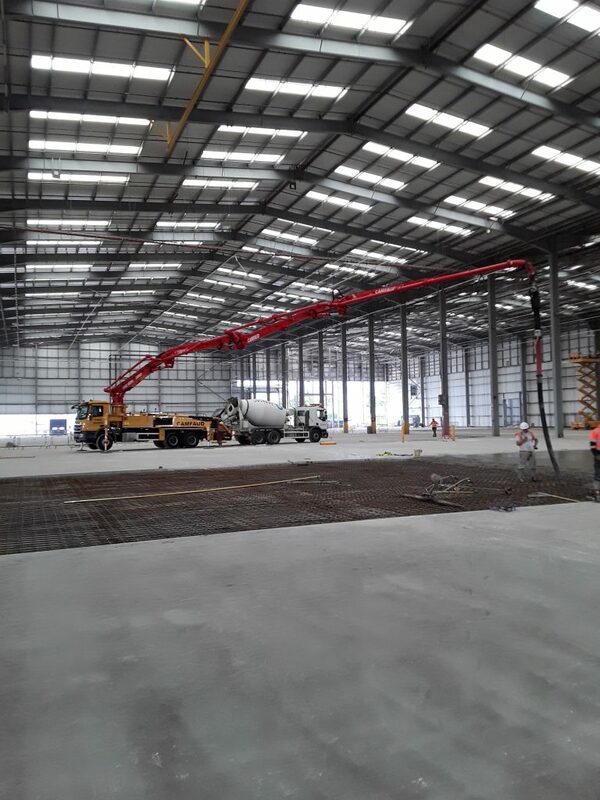 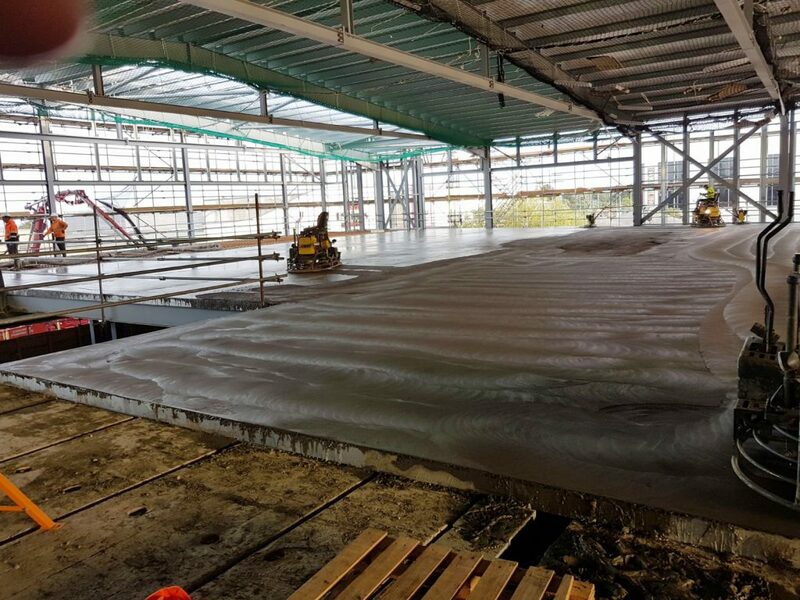 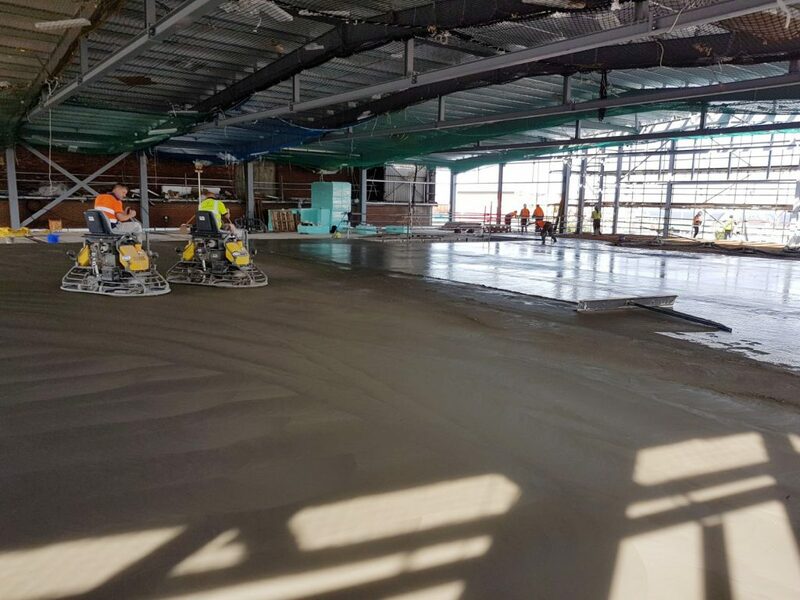 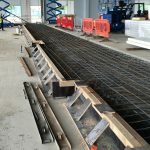 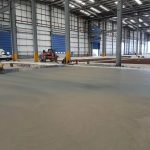 Breedon Group supplied 205 cubic meters of concrete in one continuous pour for the mezzanine floor. 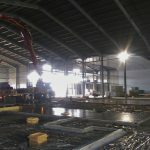 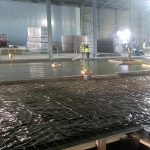 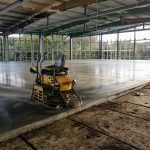 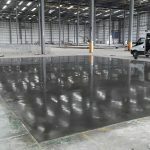 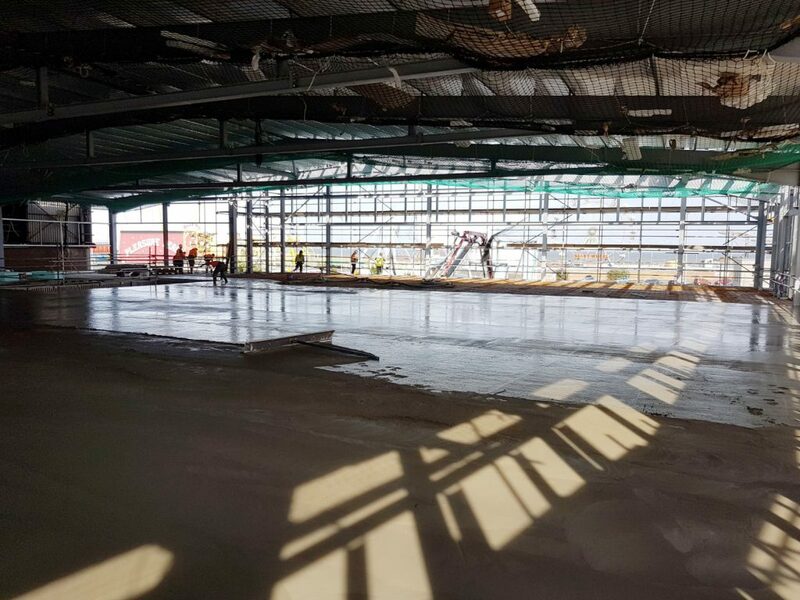 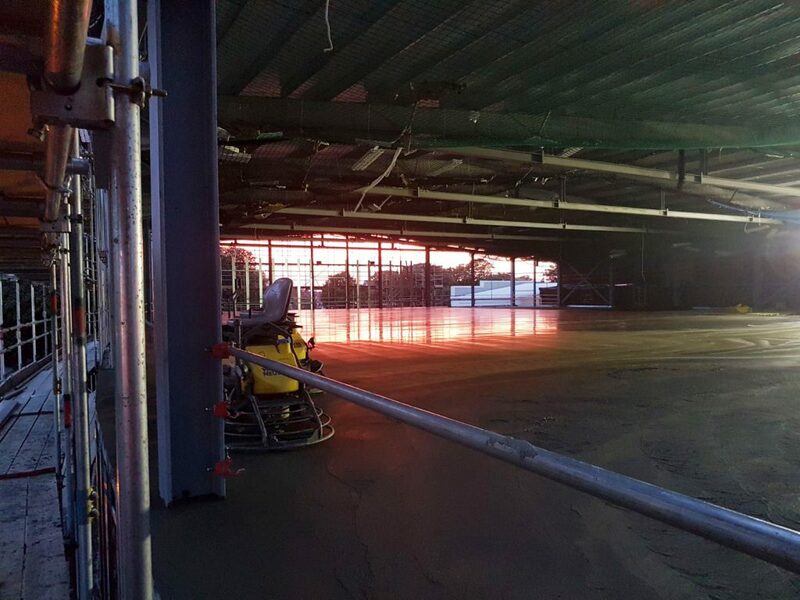 The ground floor consisted of a 1,460sqm concrete slab and was laid over just two pours to allow for the delivery restrictions. 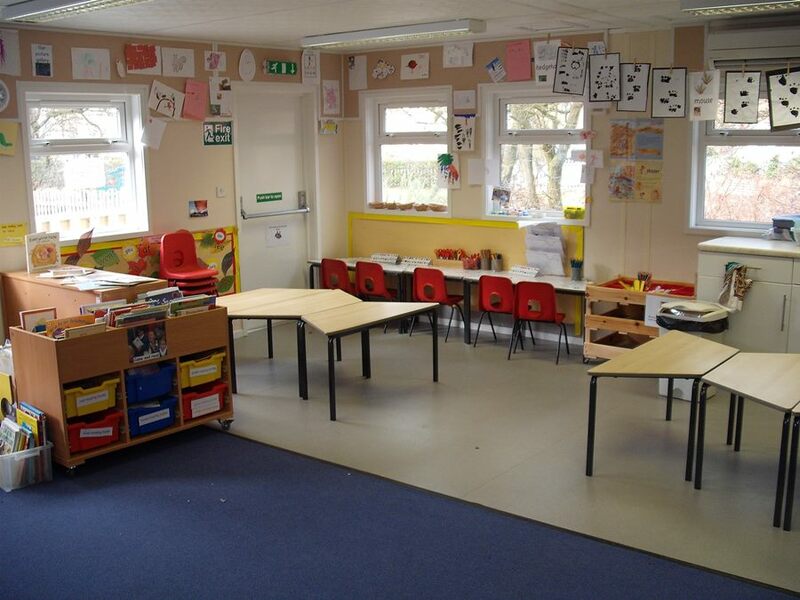 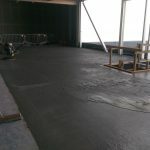 Despite the restrictions, the floor was finished to a high standard and cured with Pro Seal. 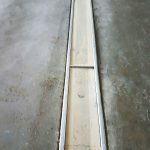 Crack induced joints were cut to the engineers’ requirements. 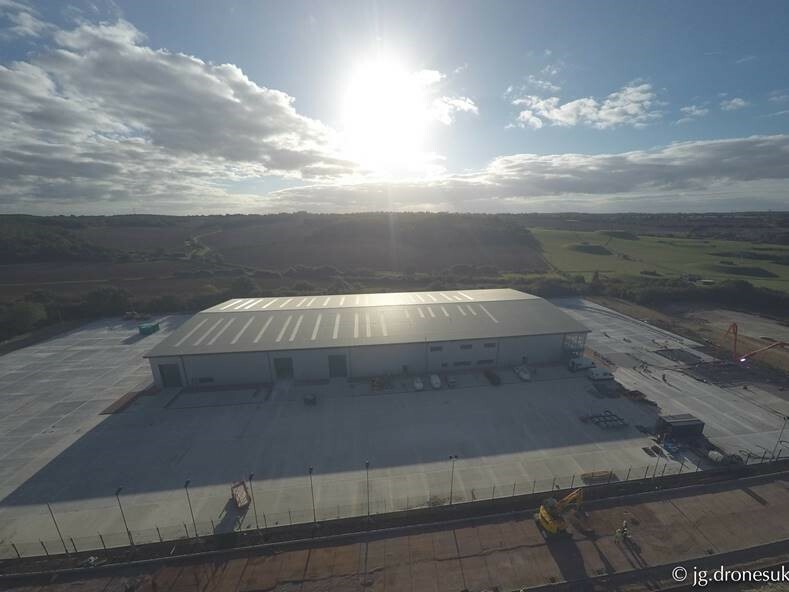 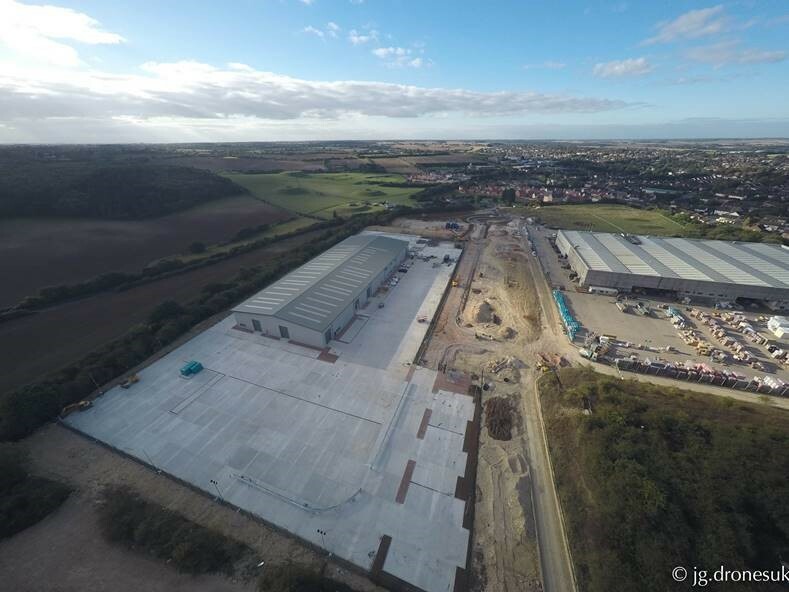 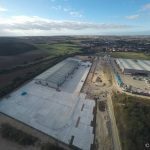 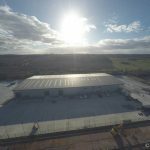 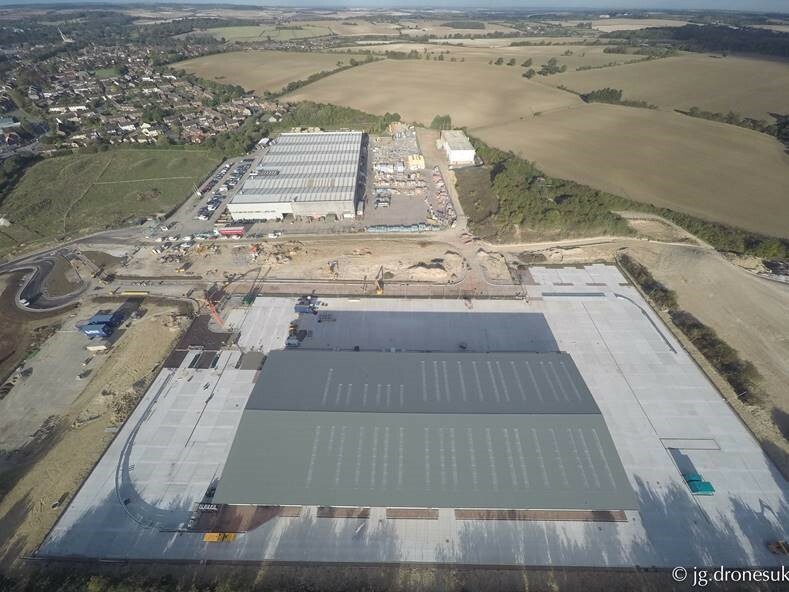 SJ Stanberry & Sons Ltd undertook an 8,085sqm project for Clegg Food Projects in Newark in 2017. 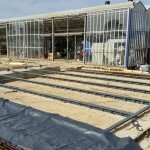 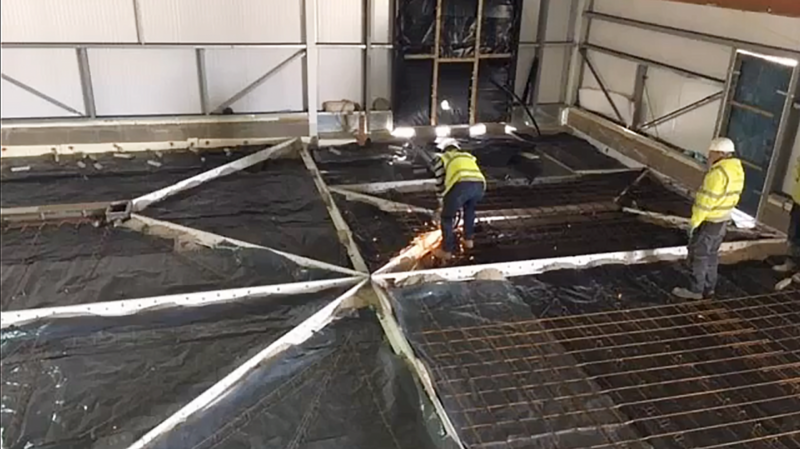 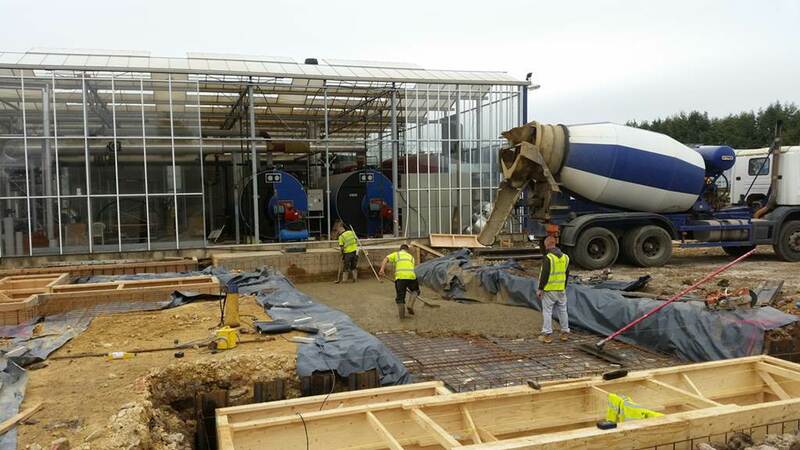 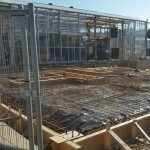 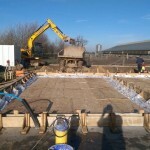 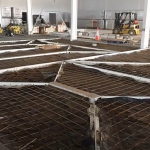 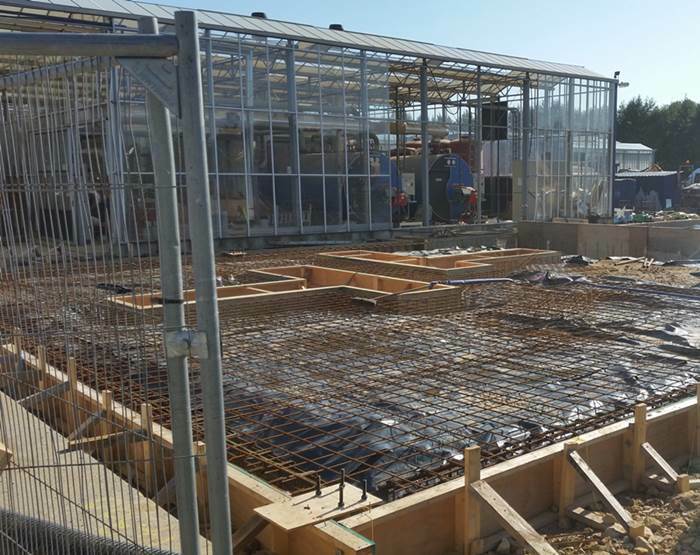 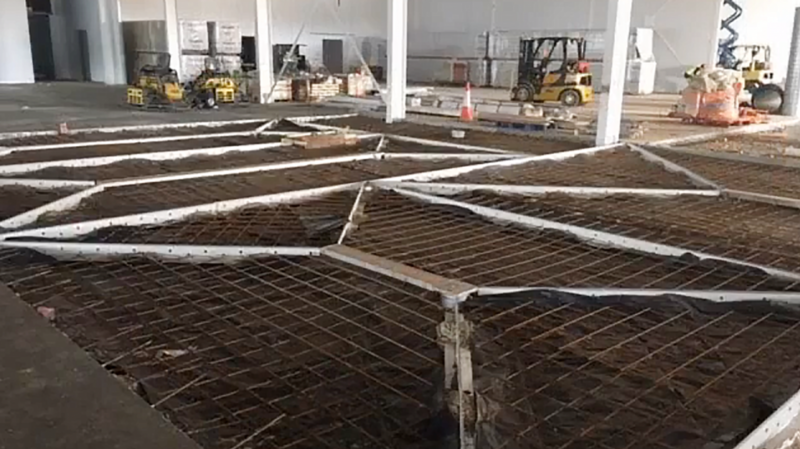 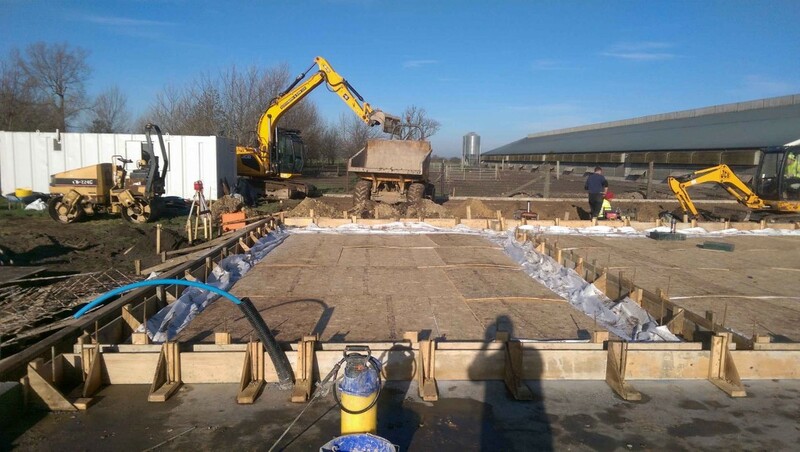 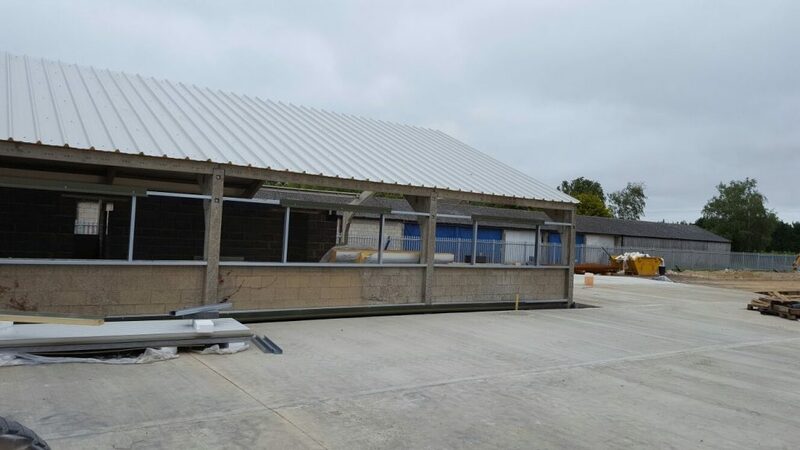 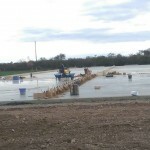 The concrete floor slabs formed part of a new poultry rearing unit for the end user Moy Park. 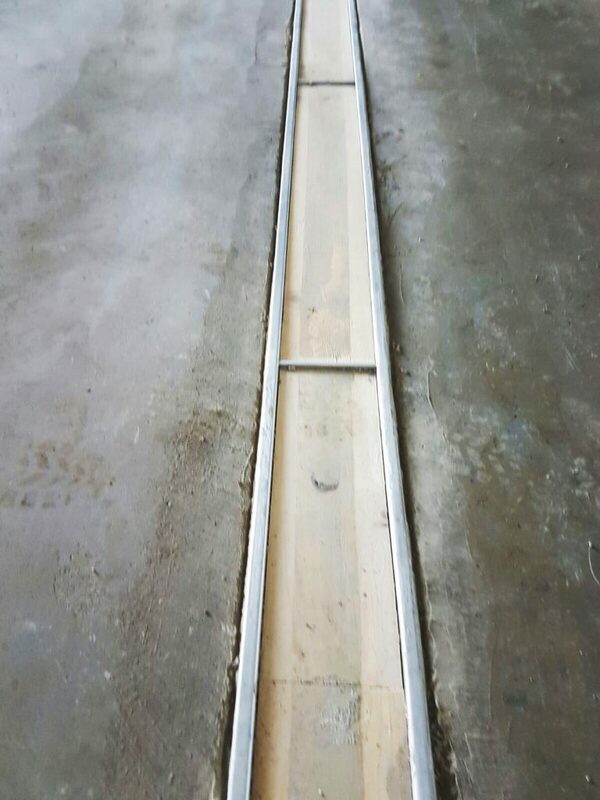 150mm slabs were laid to the correct levels and falls, utilising the K form system to form envelopes to numerous channel drains and gullies. 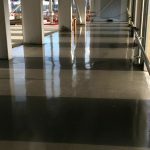 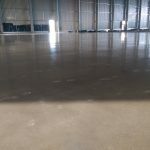 The floor received a pan finish to allow for a Ucrete topping, providing the floor with a long-term, durable solution. 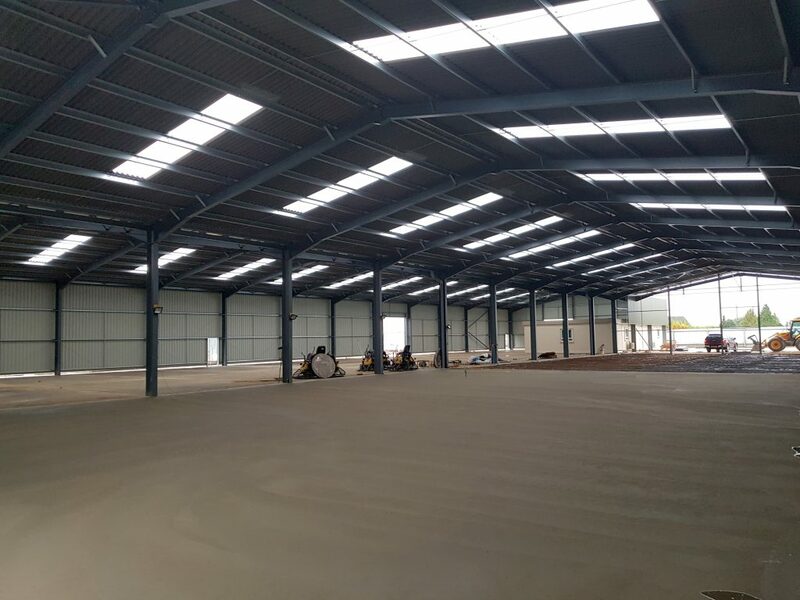 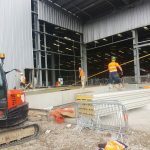 After the completion of the internal works, SJ Stanberry & Sons Ltd were awarded the external concrete flooring package by White Peak Construction. 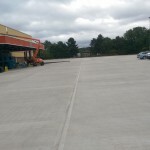 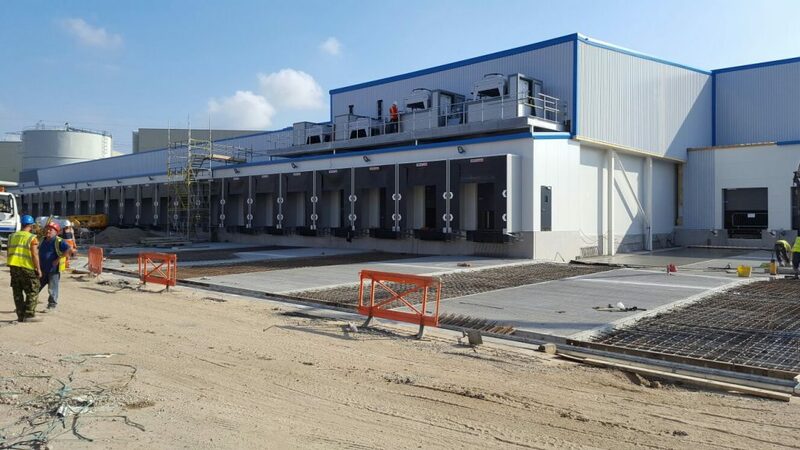 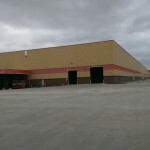 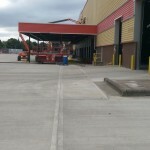 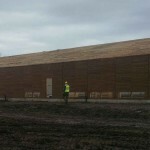 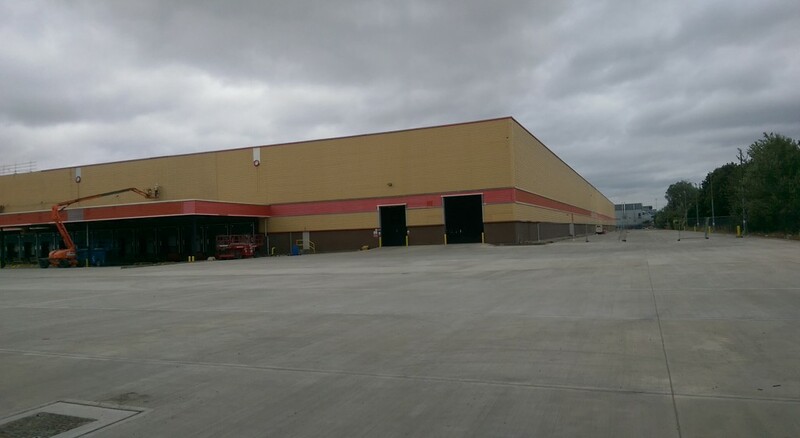 The external works consisted of three loading docks and a further 2,700sqm service yard with a light brush finish. 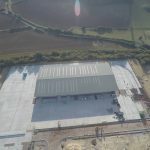 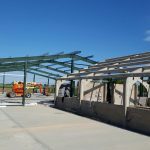 Completed in the summer of 2017, SJ Stanberry & Sons Ltd undertook this project for an existing client, White Peak Construction. 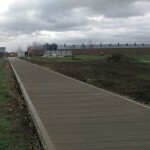 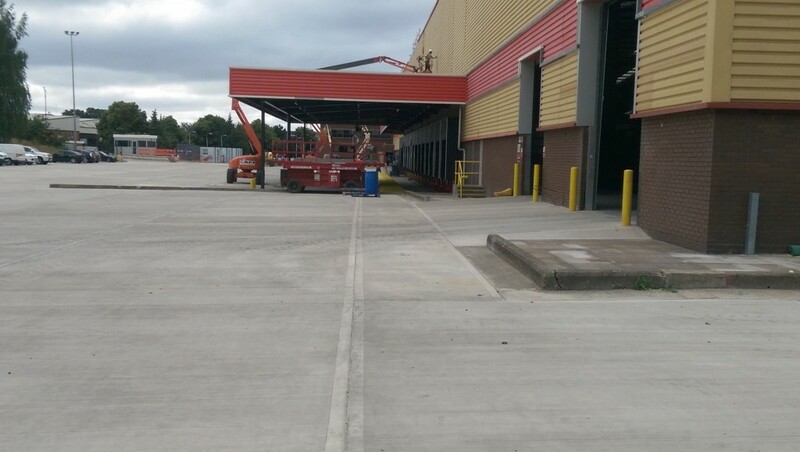 The project consisted of repairs to the internal concrete flooring, a new external service yard and an access roadway. 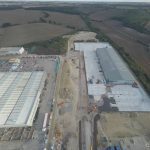 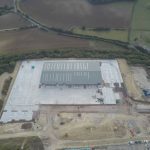 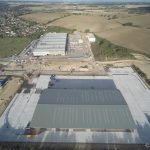 The opportunity arose when Logicor set out to reinstate this site, which was formerly used as a print works and was one of a largest un-let warehouse buildings in the country. 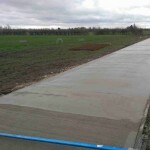 SJ Stanberry & Sons Ltd reinstated the concrete slabs after the old print works ceased production. 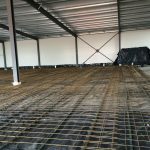 Areas of the floor were cut out and a type 1 sub base was installed with 1200gauge DPM, followed by two layers of A393 steel reinforcement. 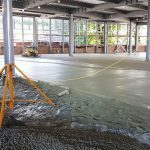 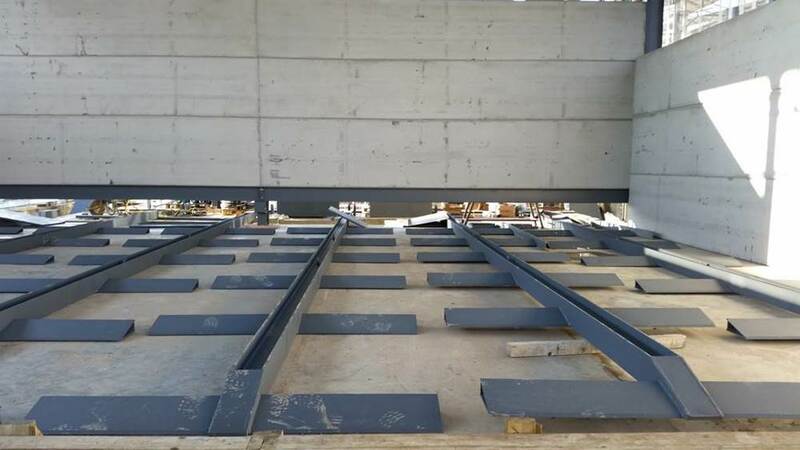 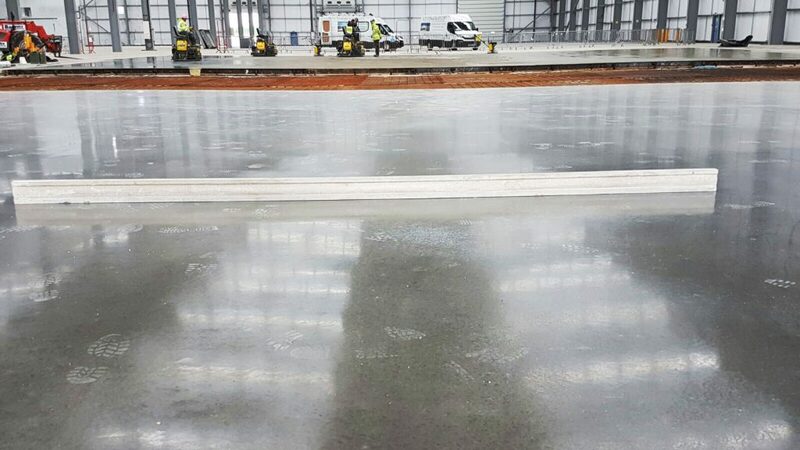 A whopping 1,816 cubic meters of concrete was placed at 200mm deep to FM2 tolerance of the TR34 4thedition, and then finally cured with Pro Seal. 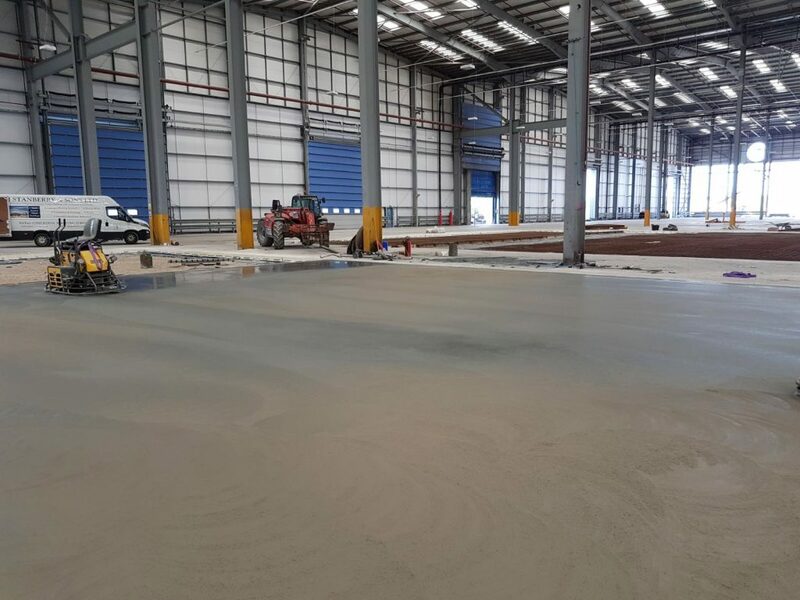 The new service yard and roadway consisted of 8,087sqm meters of C50 concrete with structural fibres and was completed with a brush finish. 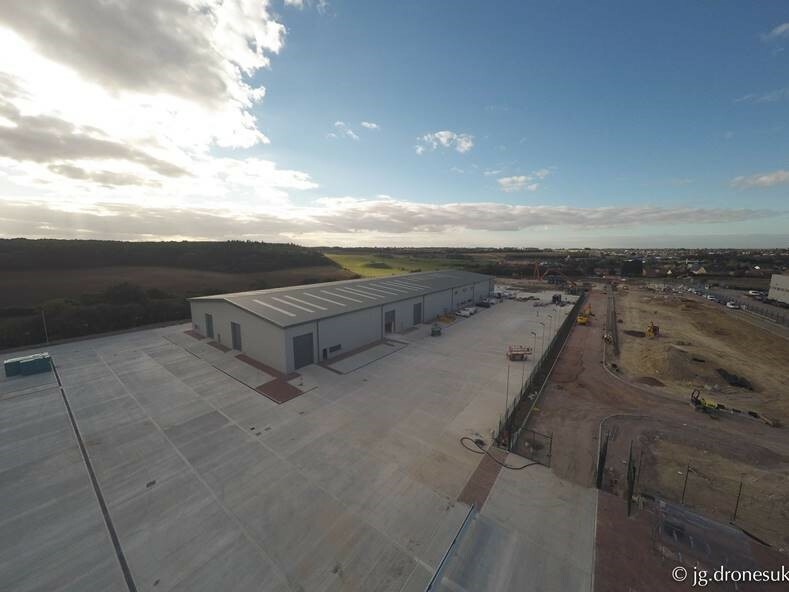 Completed in October 2016, SJ Stanberry & Sons Ltd undertook this project for PDR Construction. 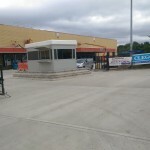 The project was for a brand new 12,500sqm Ridgeons Builders Merchant yard. 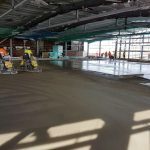 The project took 2,600 cubic meters of concrete to complete. 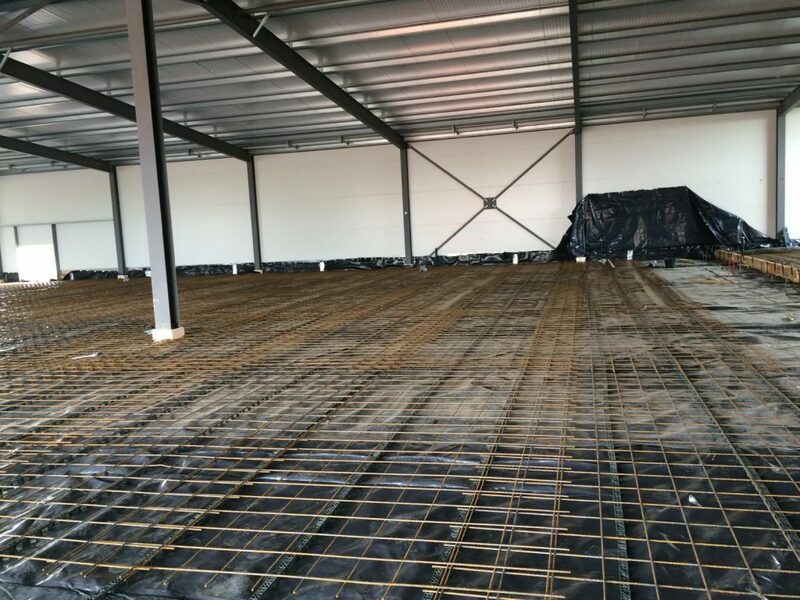 We started the job by laying 1200 gauge DPM followed by one layer of A393 steel reinforcement. 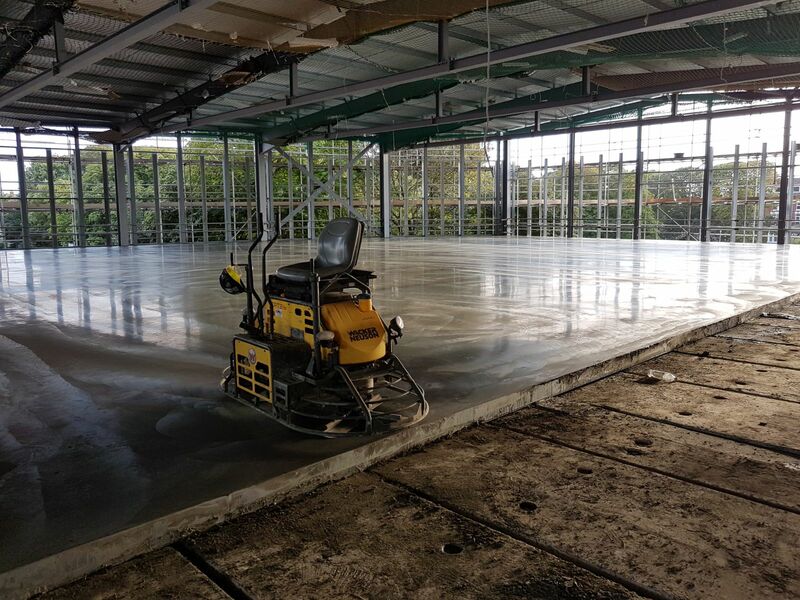 Concrete was then pumped to give a 200mm thickness to the slab and completed with a brush finish. 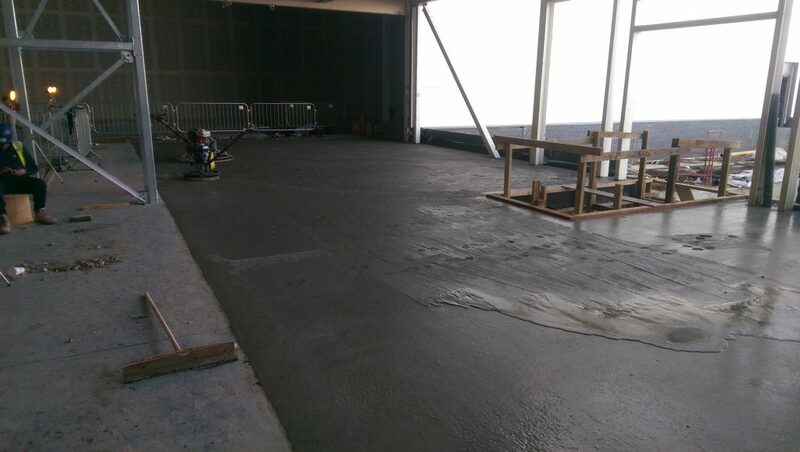 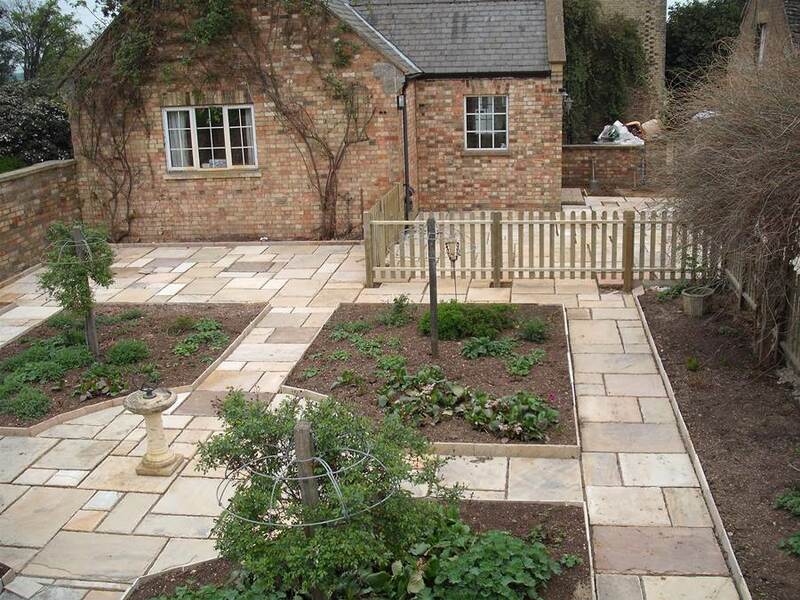 All works were carried out to the highest level and to the TR66 external in situ concrete paving regulations. 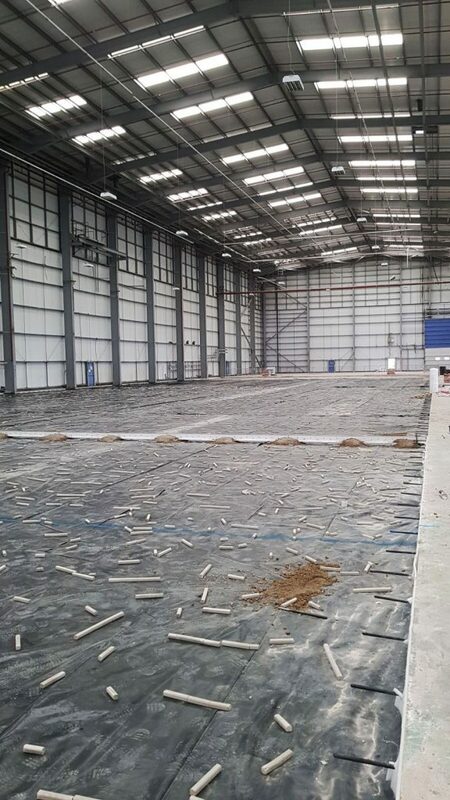 We also provided our client with a 2,500sqm Mezzanine internal floor. 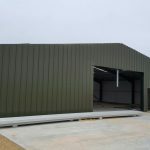 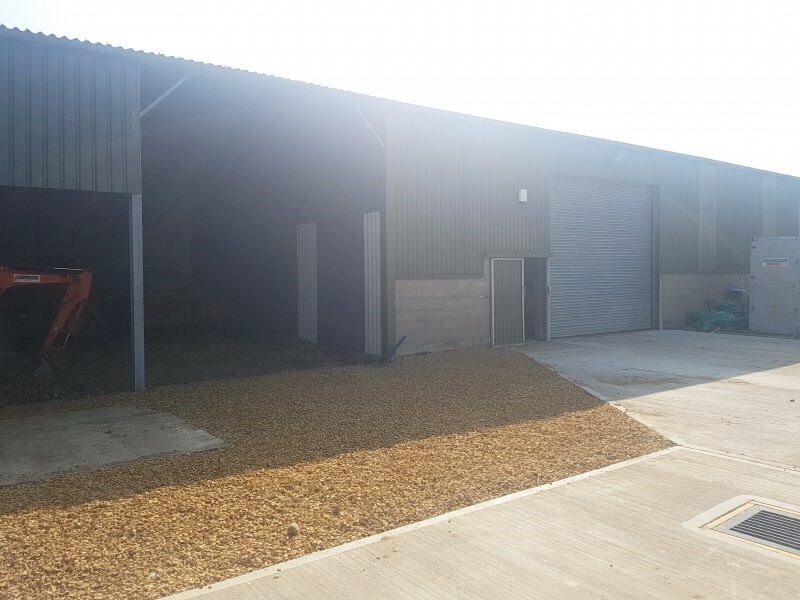 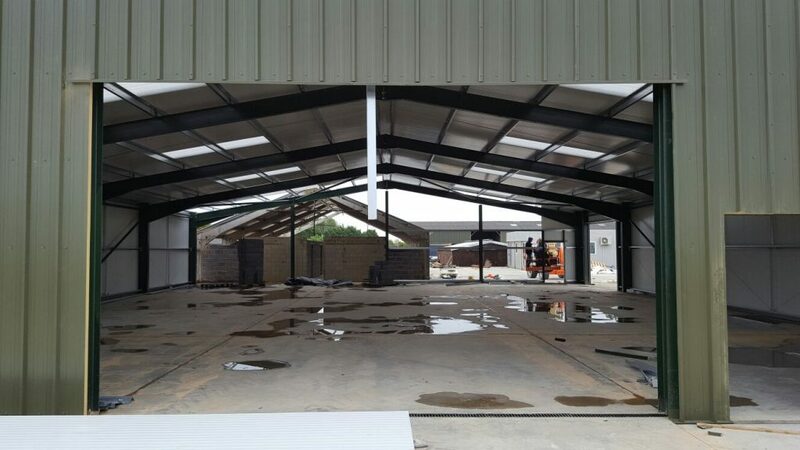 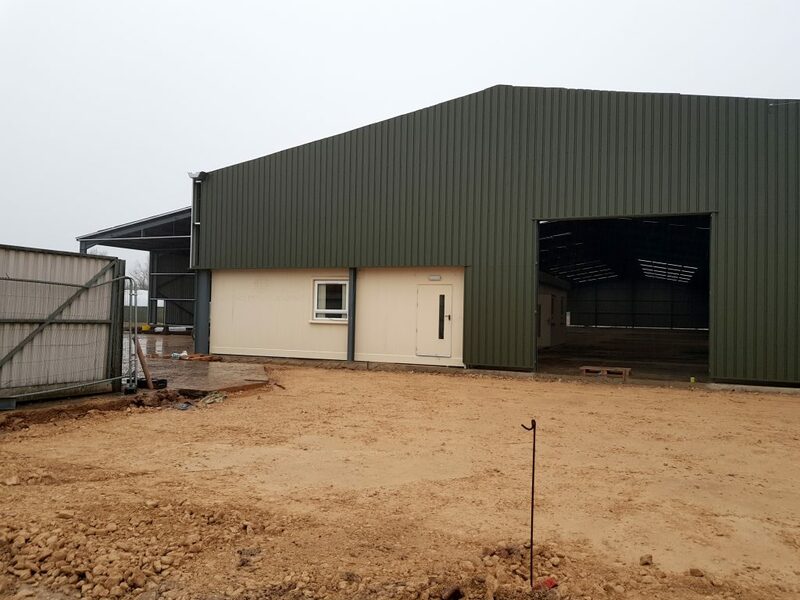 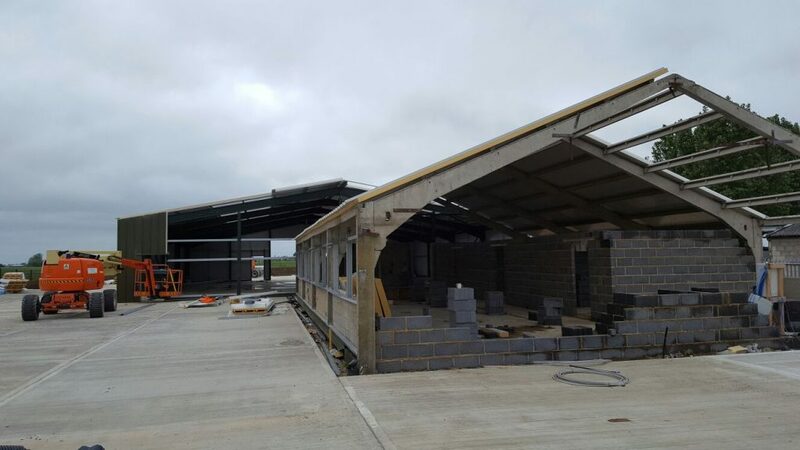 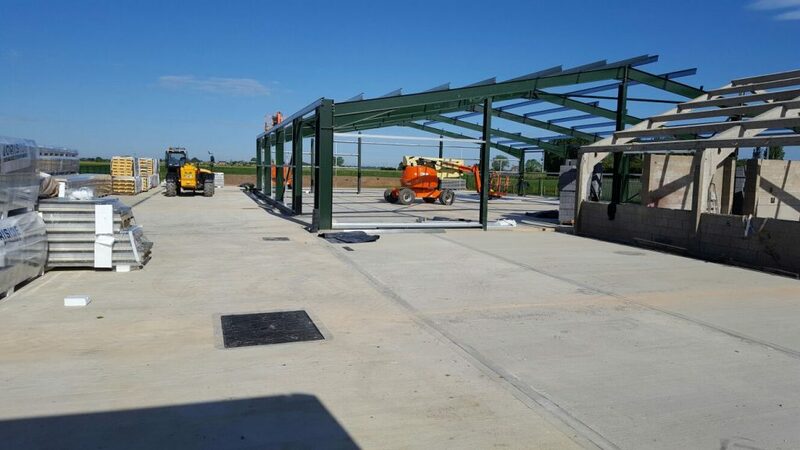 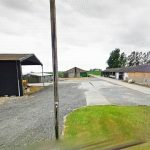 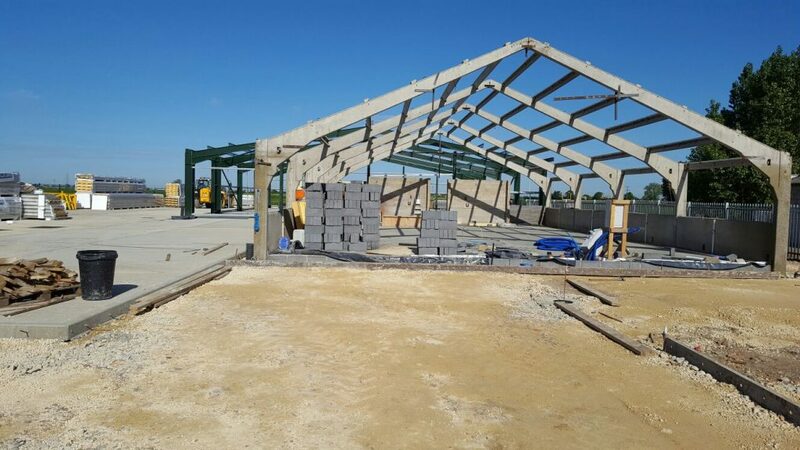 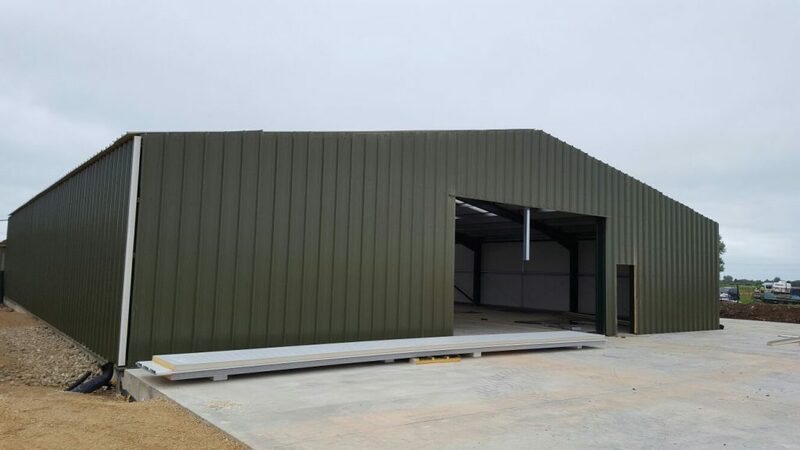 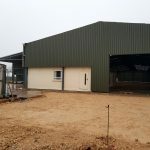 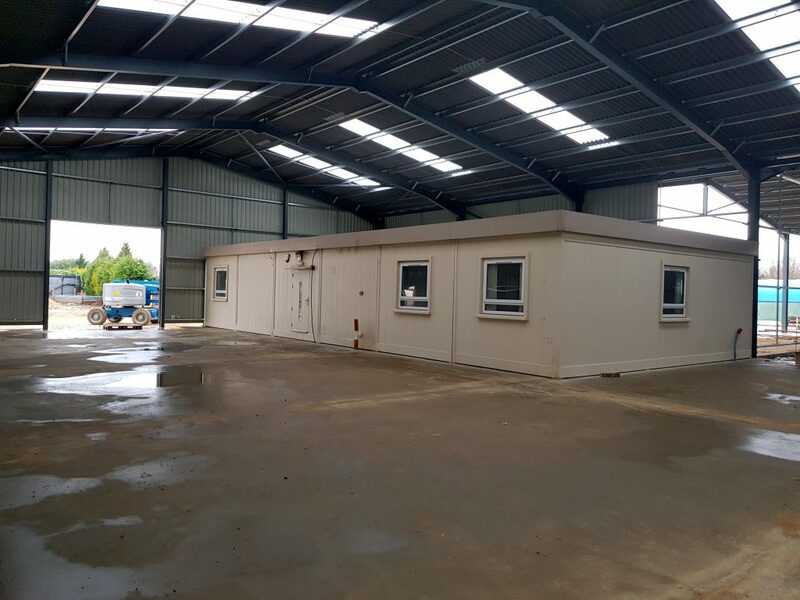 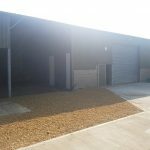 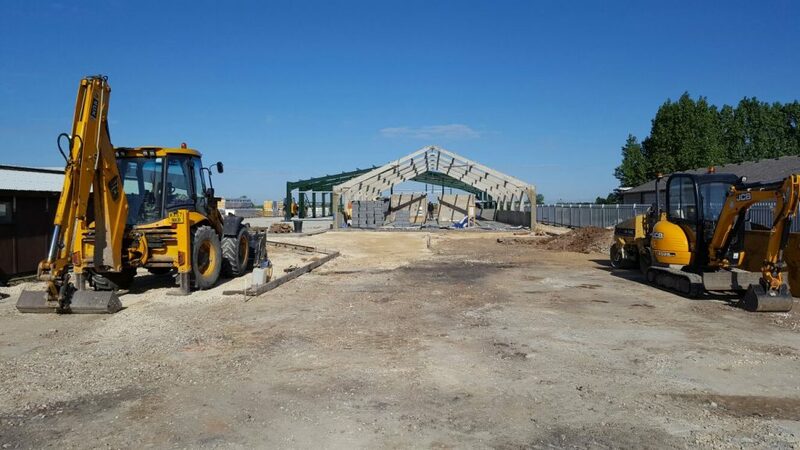 In October 2016, SJ Stanberry & Sons Ltd provided Rollins Electrical with a brand new agricultural building and also carried out all the required groundwork’s and concrete flooring for their brand new service yard. 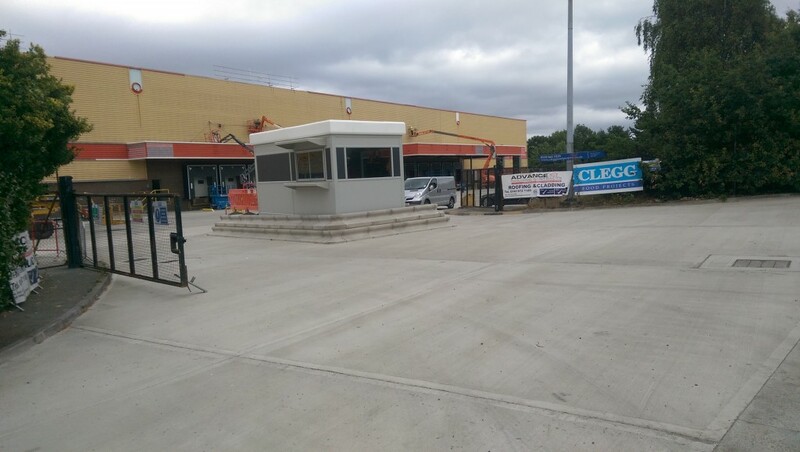 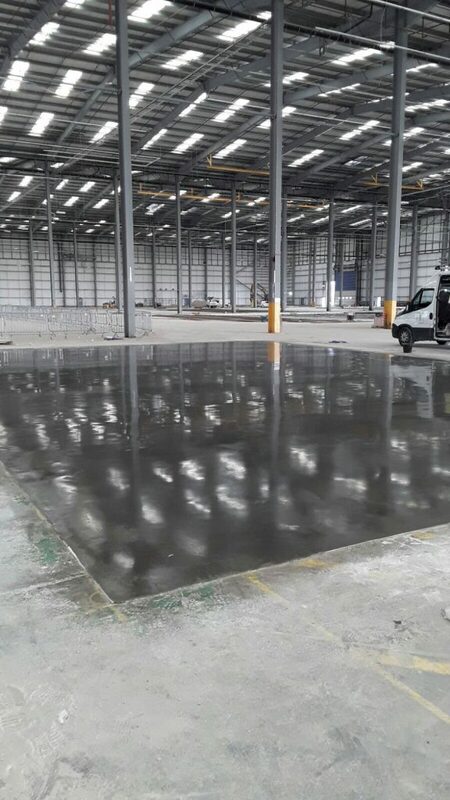 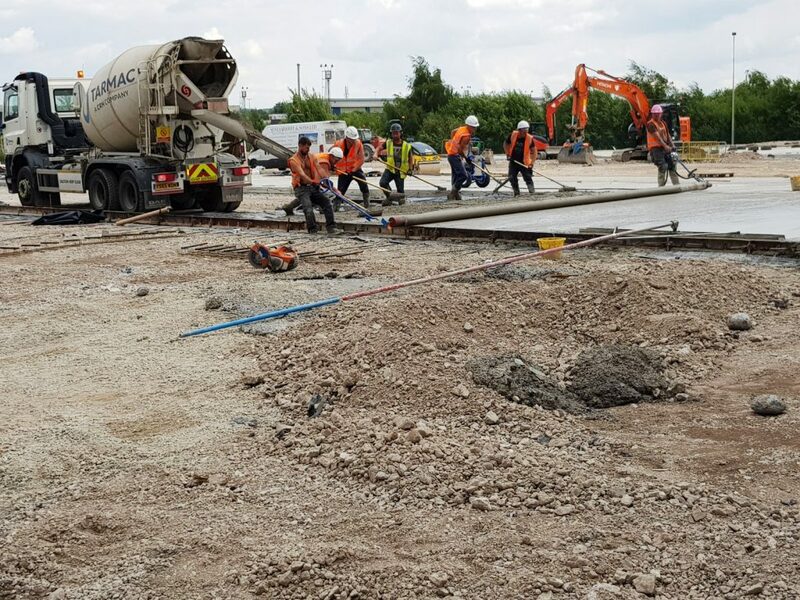 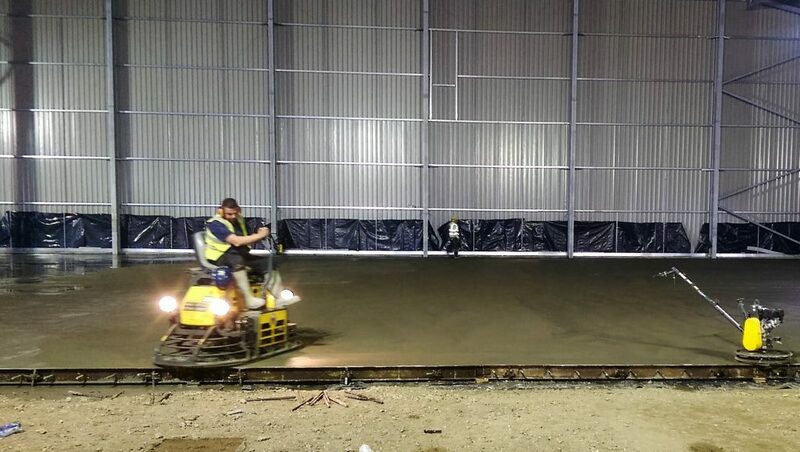 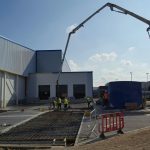 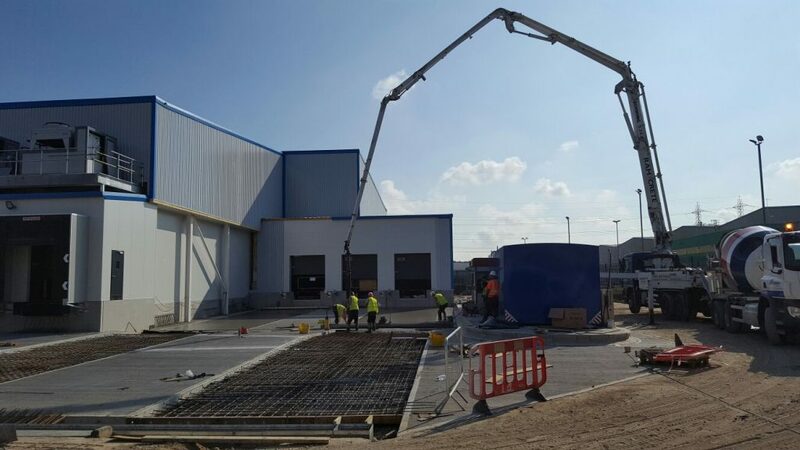 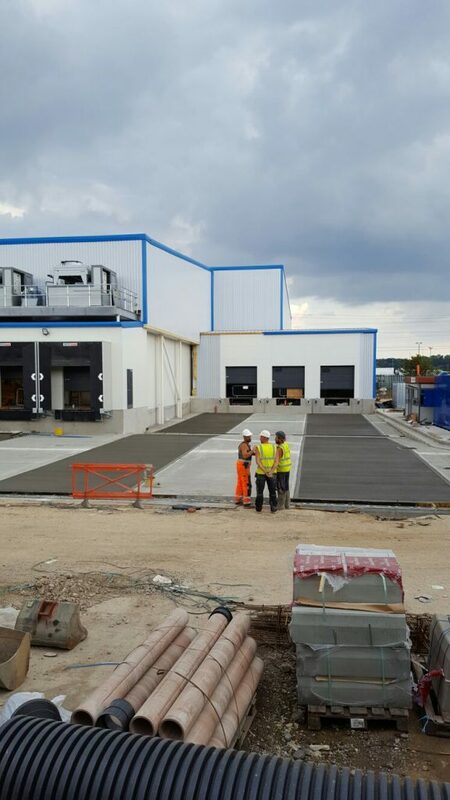 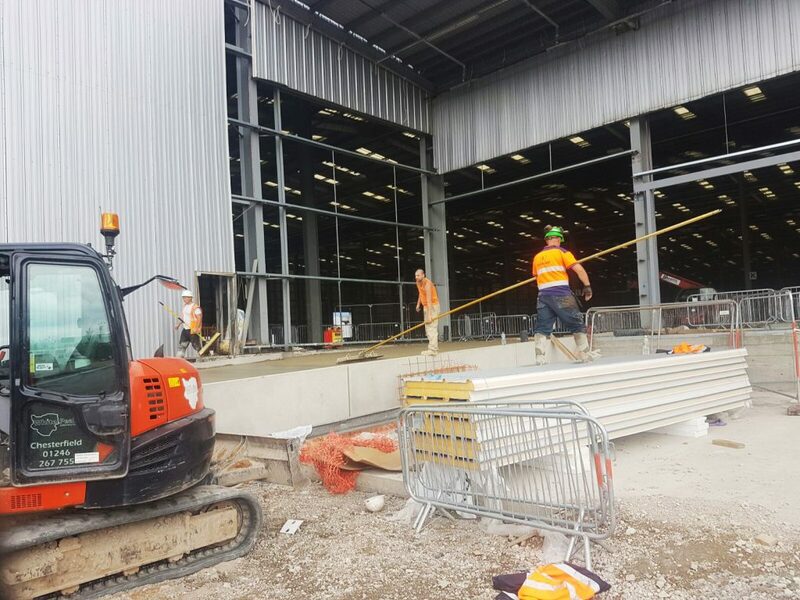 SJ Stanberry & Sons Ltd was appointed by Daleraven Ltd to carry out the concrete flooring works for a new service yard for Greggs Plc, Enfield. 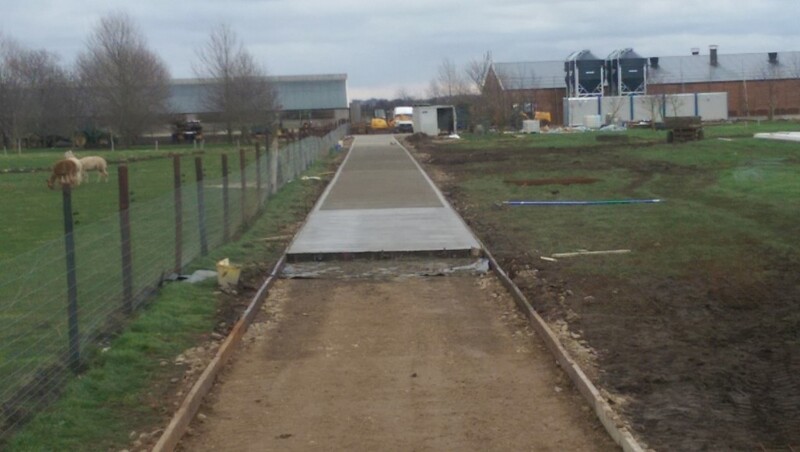 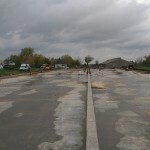 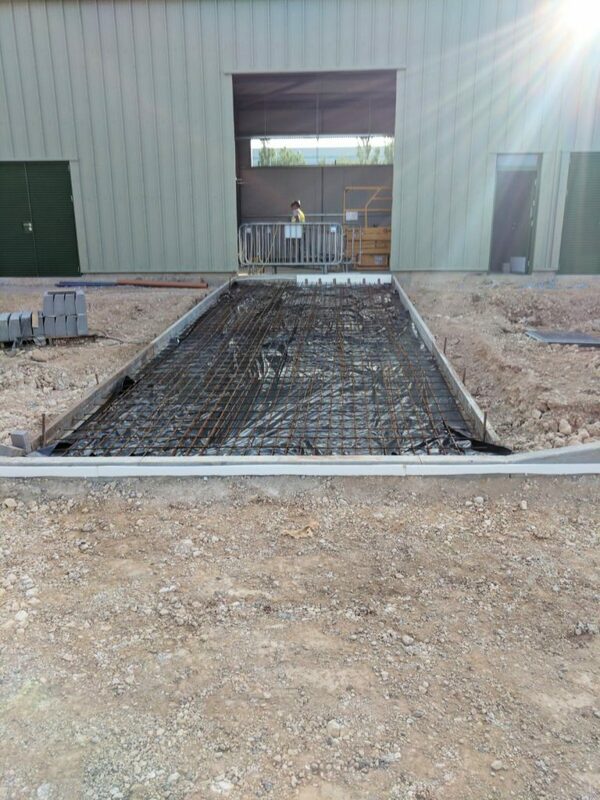 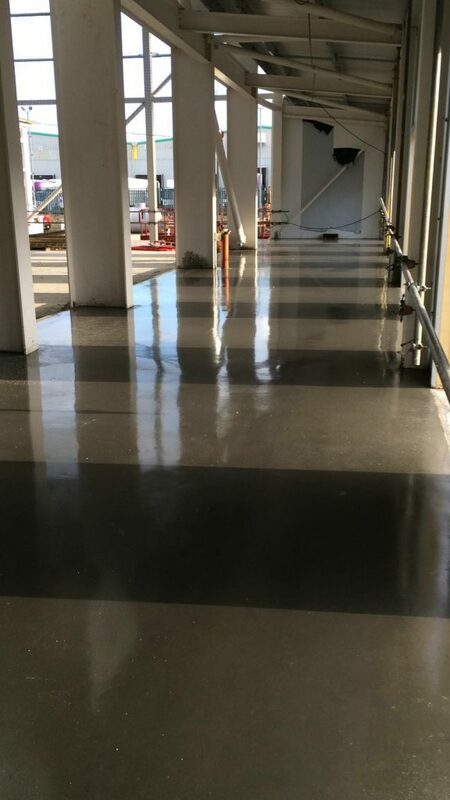 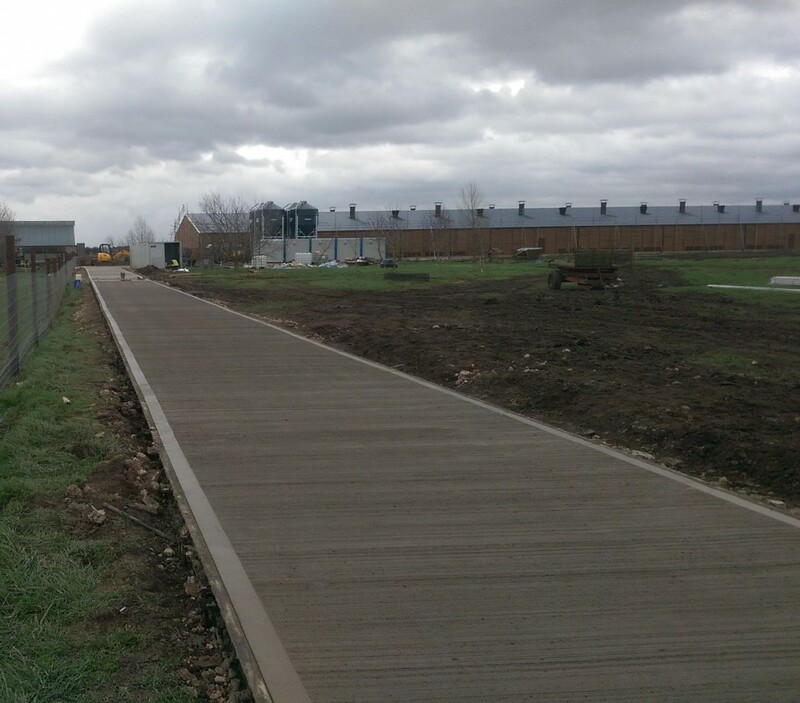 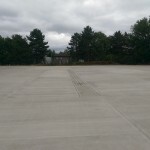 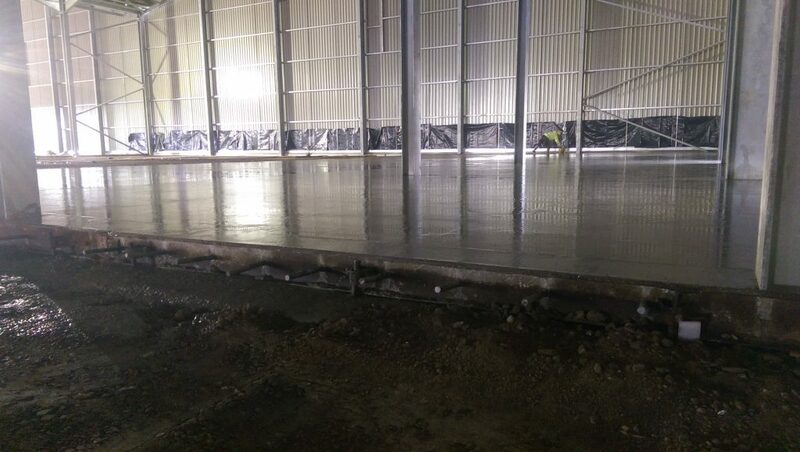 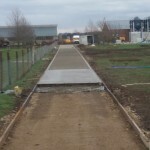 We also carried out works to provide concrete freezer slabs and two external concrete ramps. 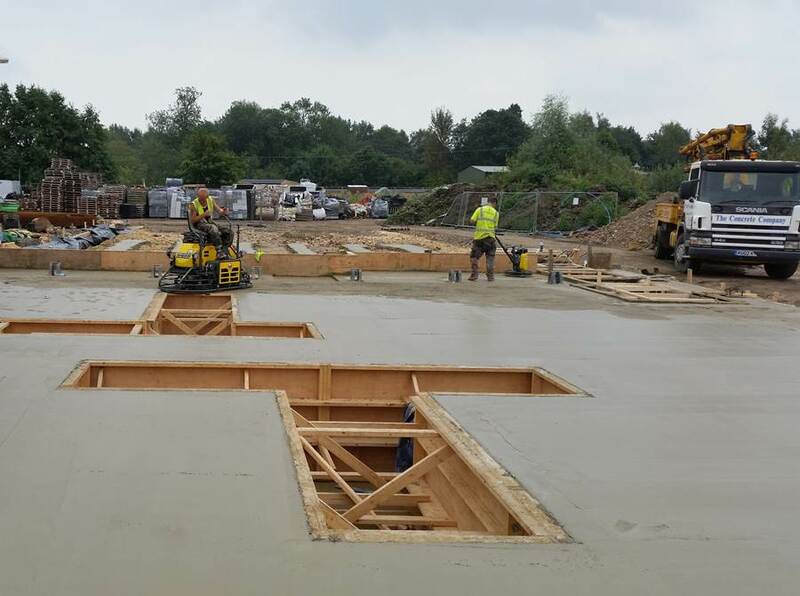 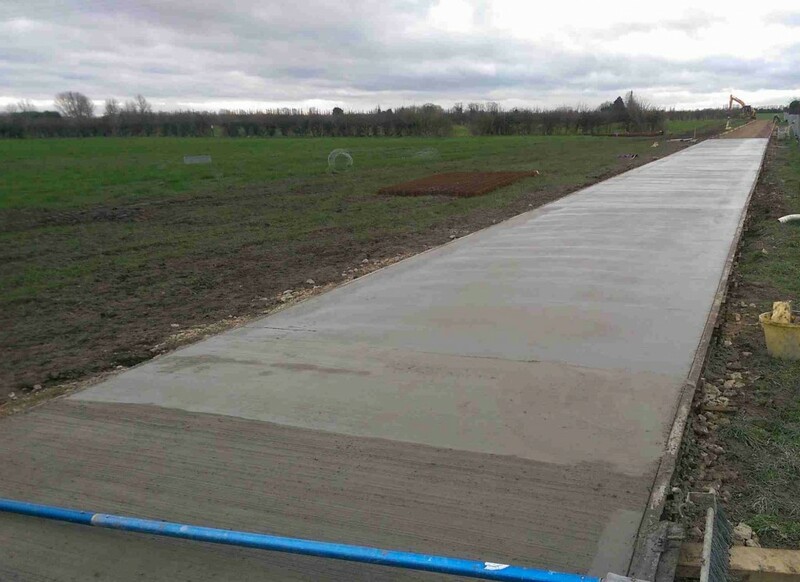 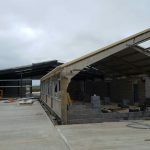 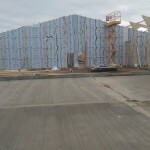 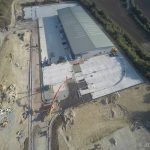 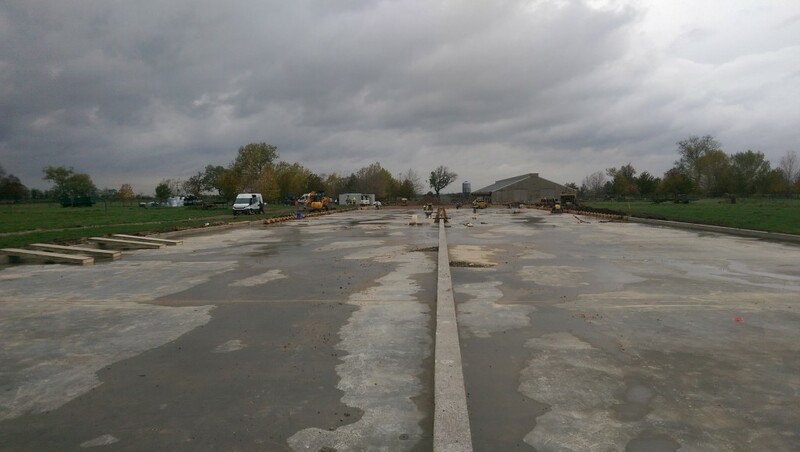 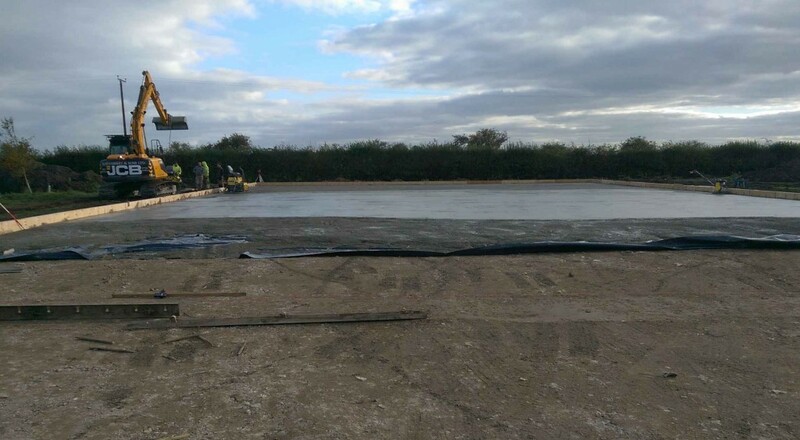 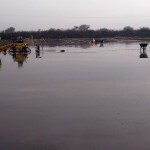 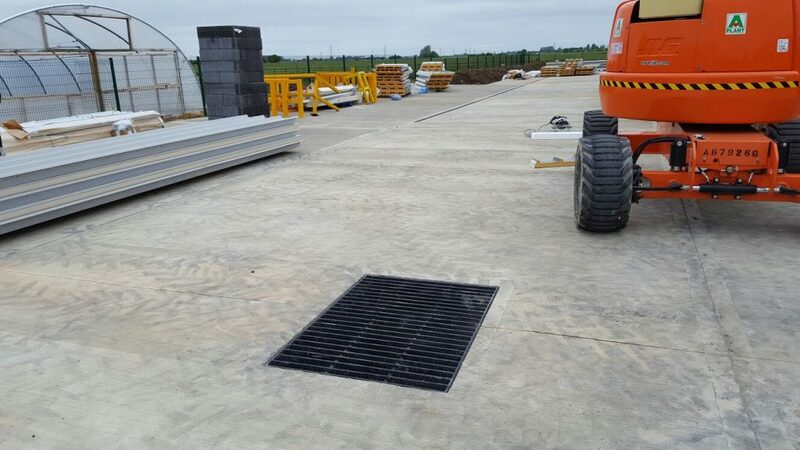 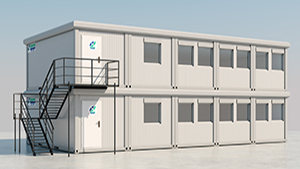 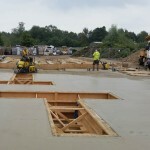 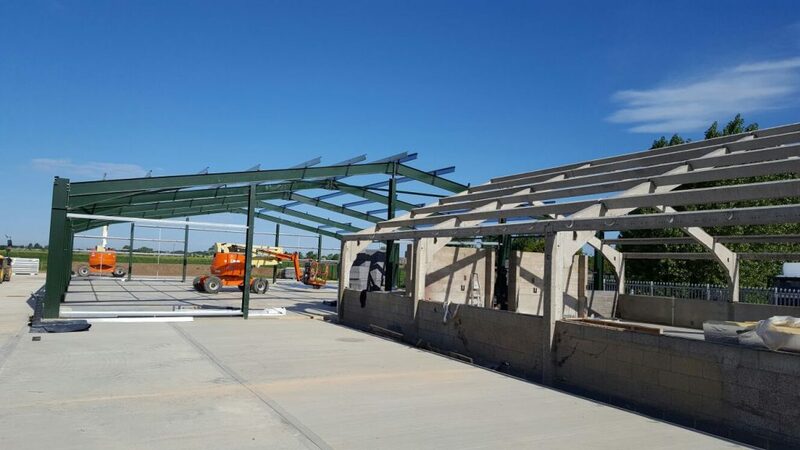 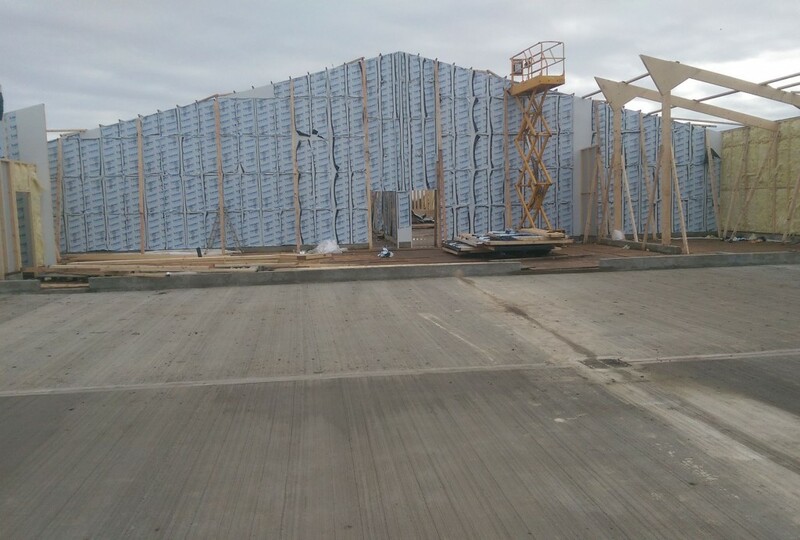 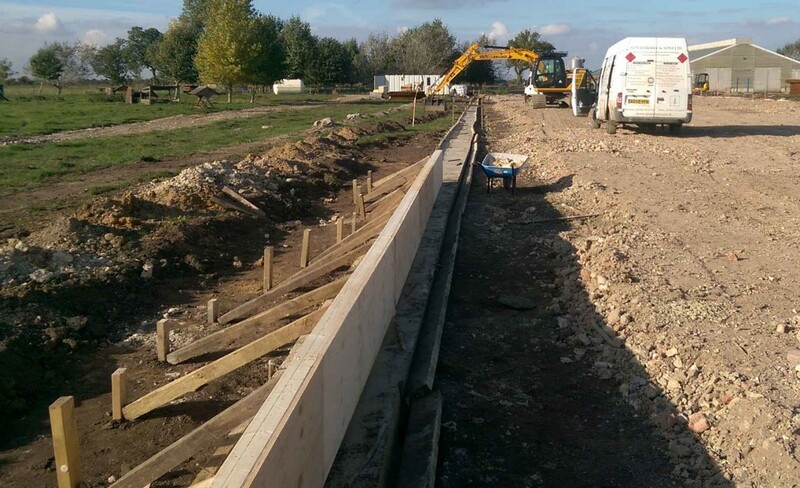 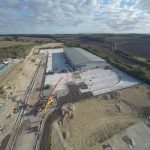 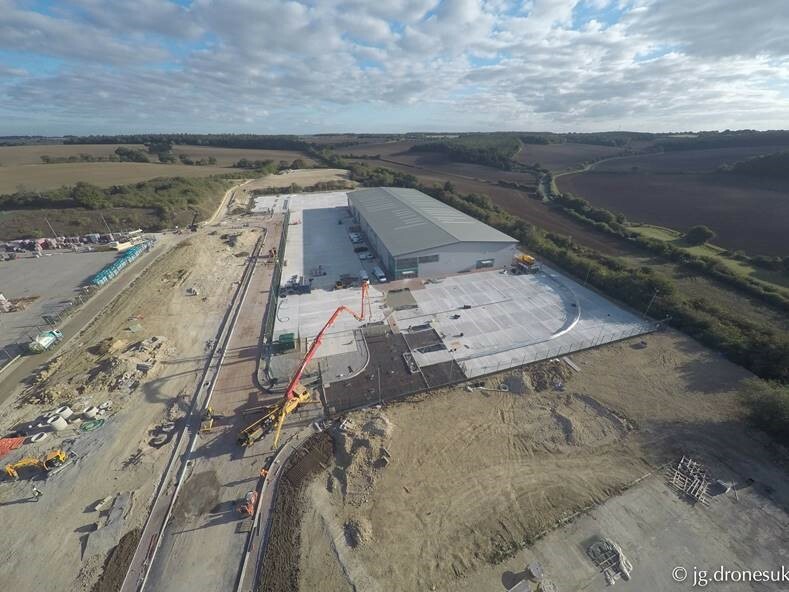 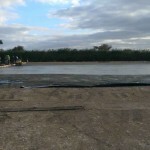 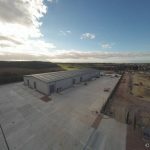 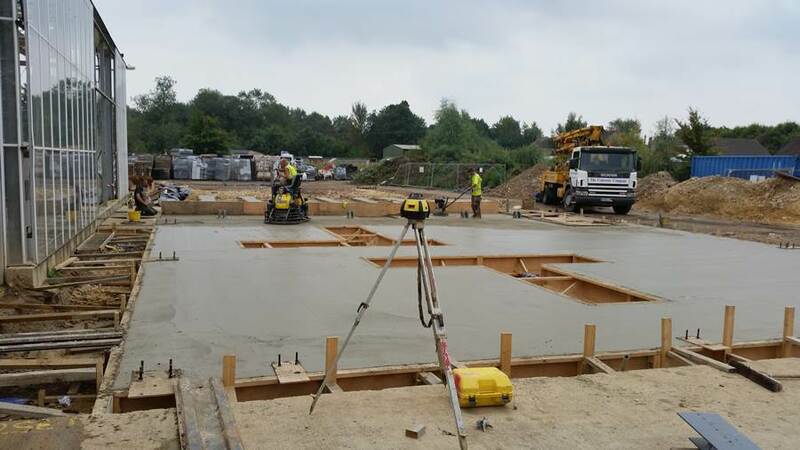 Appointed by Gallagher Contracts Ltd, SJ Stanberry & Sons Ltd was awarded the contract for placing concrete with a power-float finish for an additional fruit storage and packaging facility at Flanders Farm in Hoo. 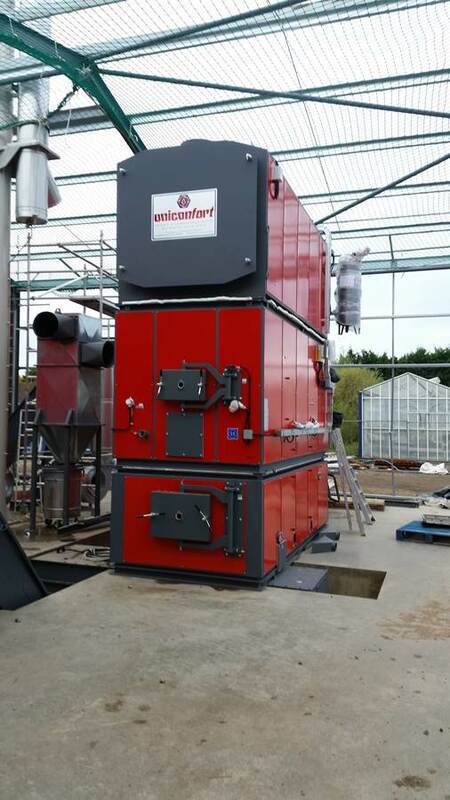 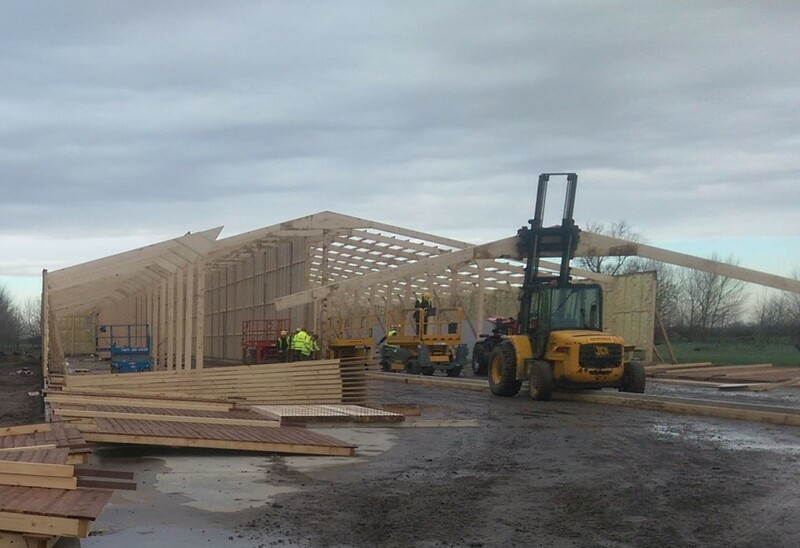 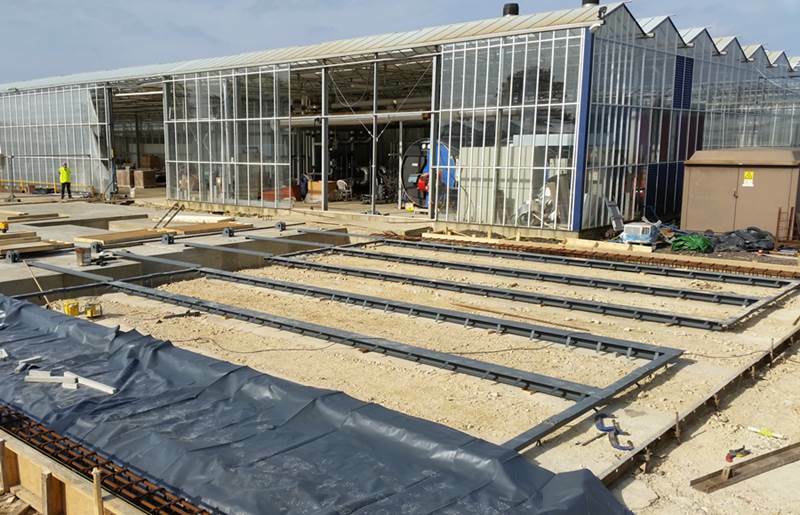 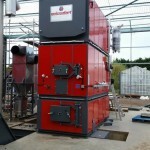 Carried out for Delamore Ltd based in Cambridgeshire, our work scope allowed for Delamore Ltd to install their new Biomass wood-chip burner which is now being used to heat glass houses in order to grow plants to a higher standard. 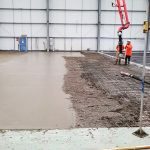 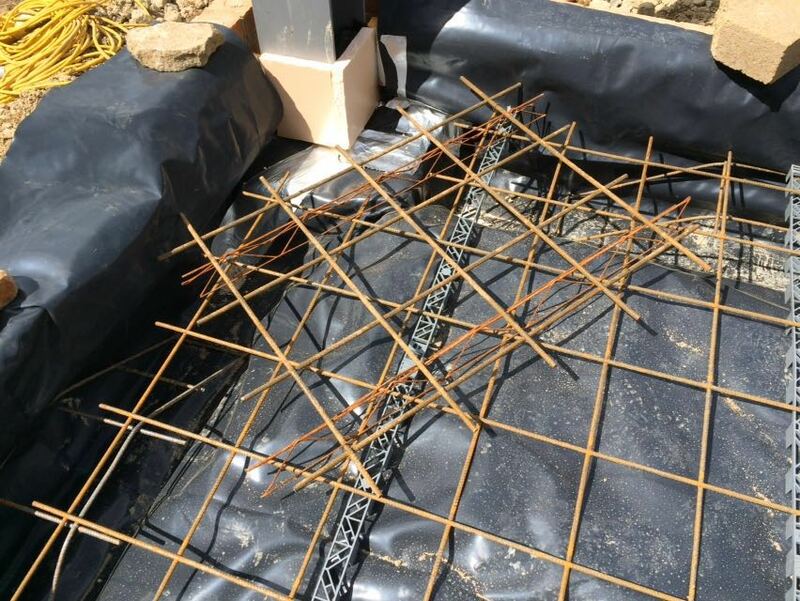 Our works have included the excavation of foundations (including piston cage foundations), construction of fuel feed pits and ash-pits, concrete flooring and a walking floor! 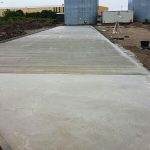 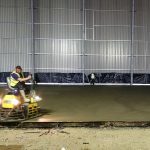 At SJ Stanberry & Sons Ltd we pride our concrete laying skills and techniques and have once again provided an outstanding result on the project at Delamore’s. 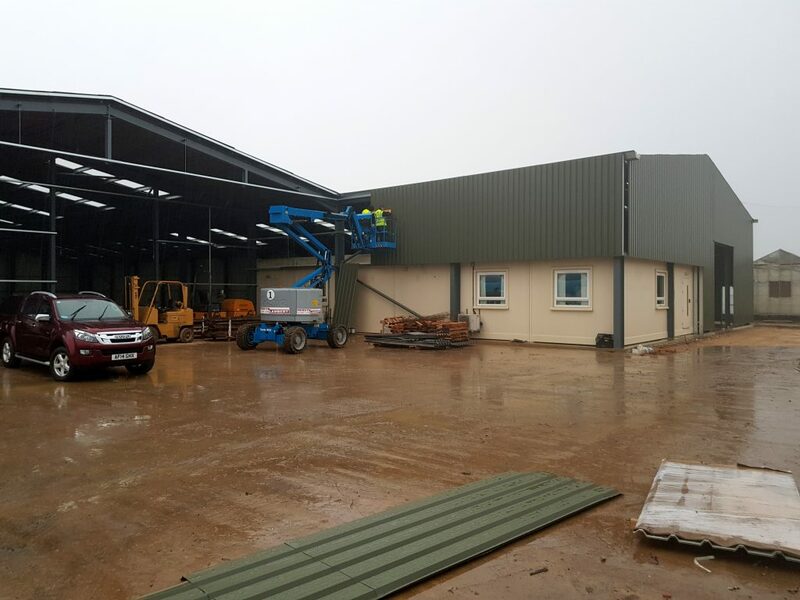 Completed in September 2015, SJ Stanberry & Sons Ltd undertook this project for Daleraven Ltd. 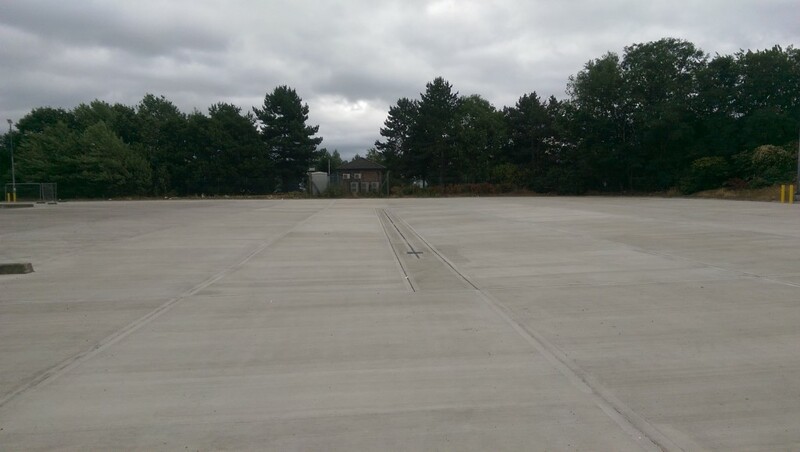 The project was to replace a current concrete yard for a brand new 14,000 sqm service yard. 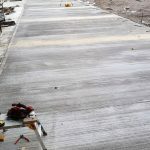 The project took twenty four pours and 3,500 cubic meters of concrete to complete. 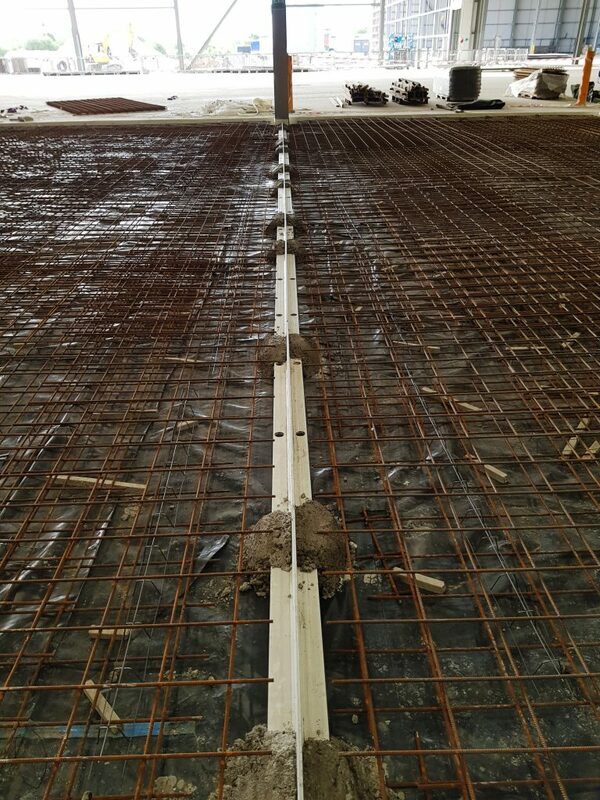 We started the job by laying 1200 gauge DPM followed by two layers of A252 steel reinforcement. Concrete was then poured by mechanical placement to give a 200mm thickness to the slab and completed with a brush finish. 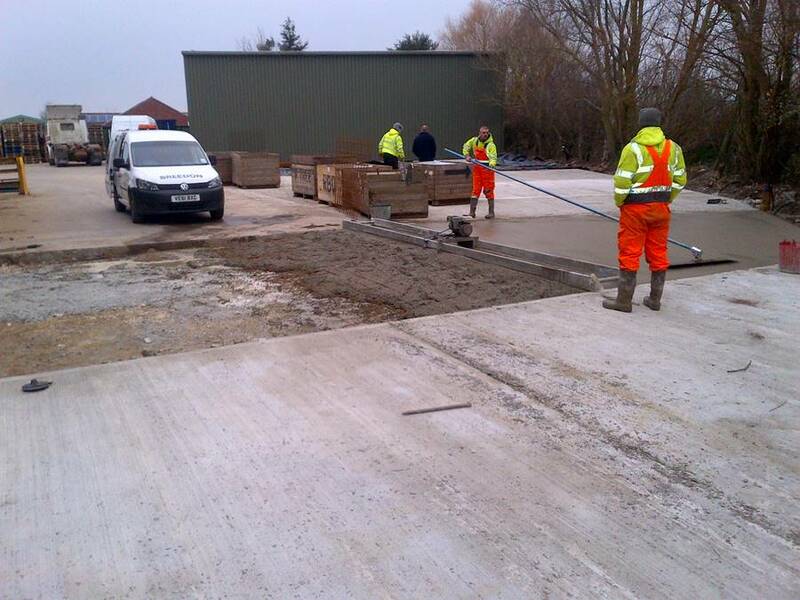 All works were carried out to the highest level and to the TR66 external in situ concrete paving regulations. 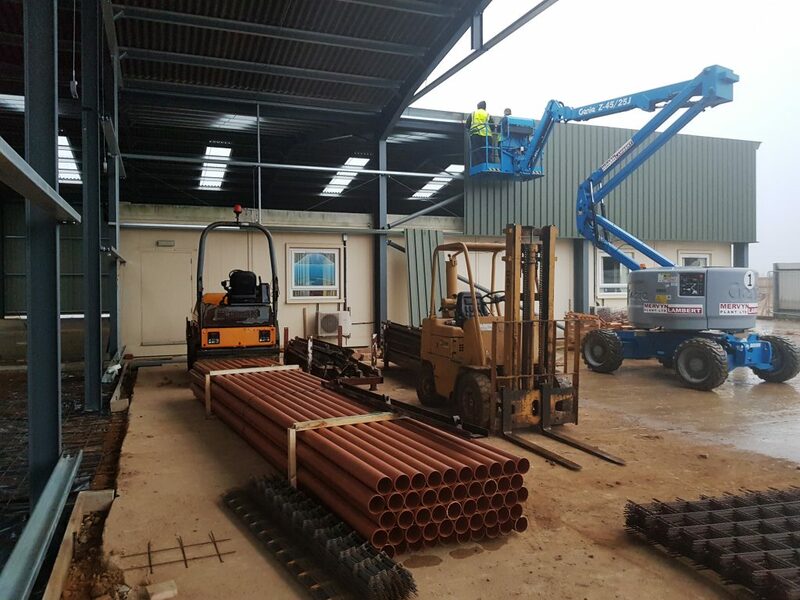 SJ Stanberry & Sons Ltd has had the pleasure in carrying out a substantial amount of work for the above project, based in Bury St Edmunds. 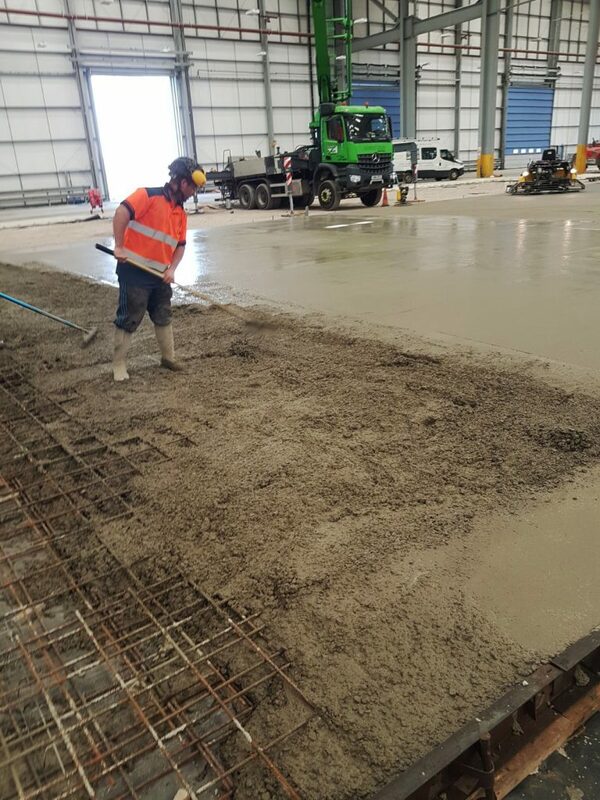 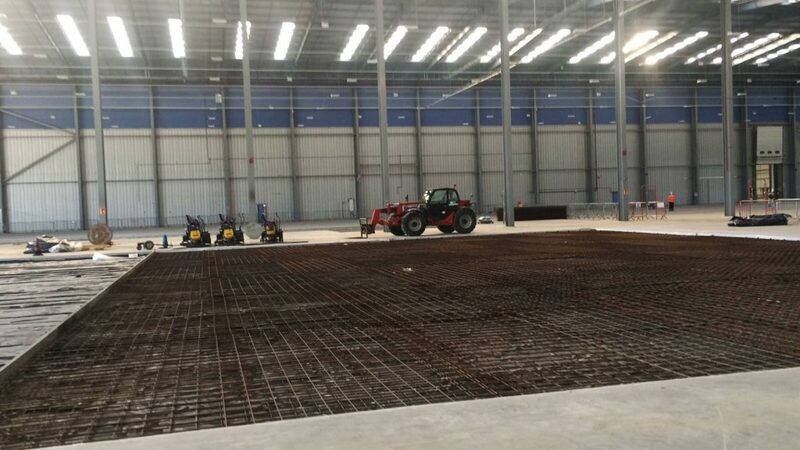 From initial site strip to setting new ground levels and constructing concrete kicker walls, we also laid a 2,500sqm concrete floor slab. 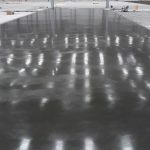 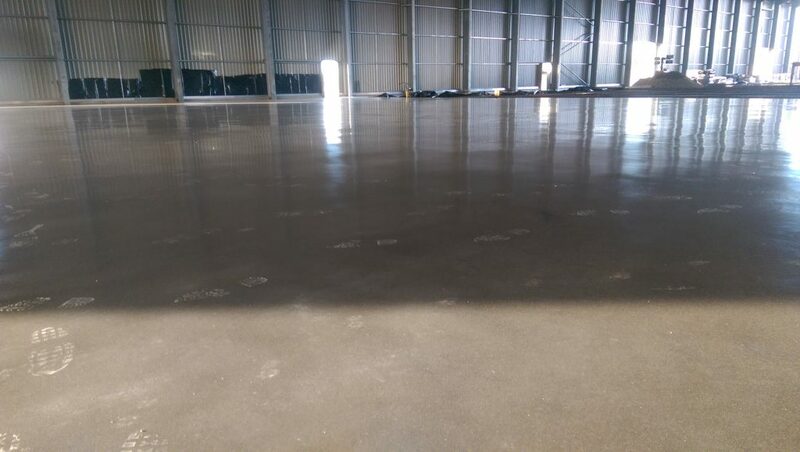 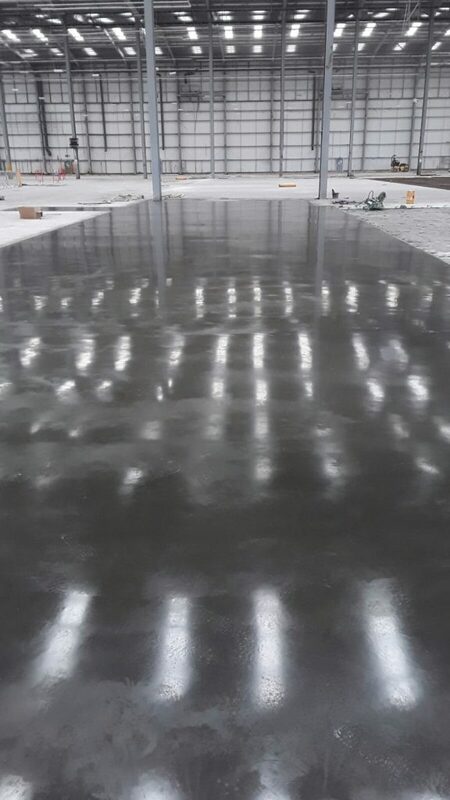 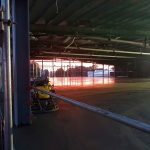 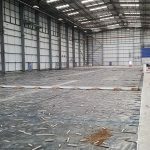 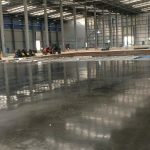 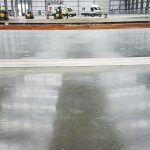 Three hundred square meters of this floor was constructed as a quartz, dry shake topping area to give our client a hard-wearing, dust inhibiting floor for their pack-house purposes. 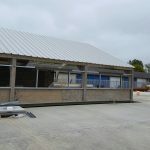 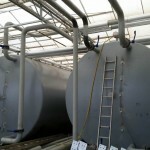 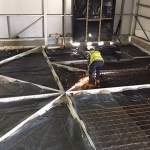 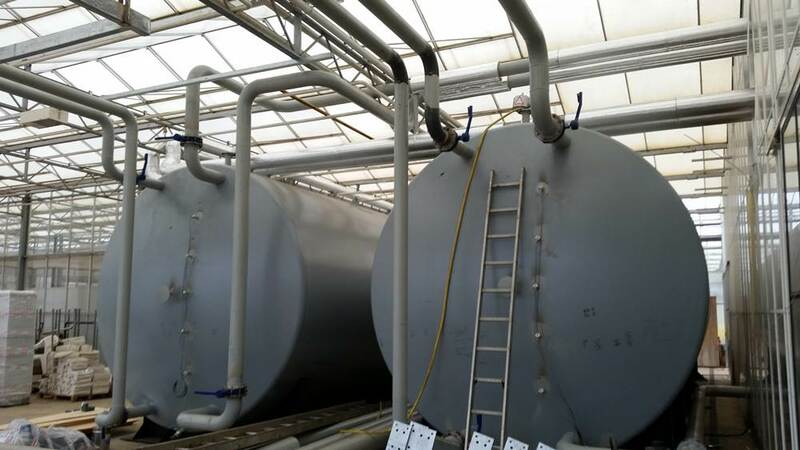 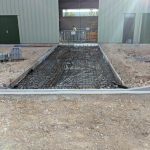 Many other works have been carried out for this project which has included the installation of an 8,000 litre interceptor tank, drainage and water feeds to allow for a wash down area within the poultry unit. 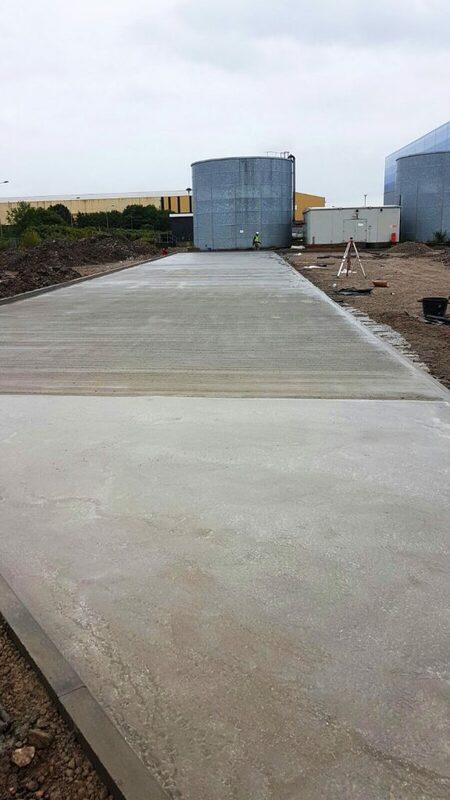 Through successful completion of these works we have now been appointed to carry out the works for the 600 meter concrete access roadway.